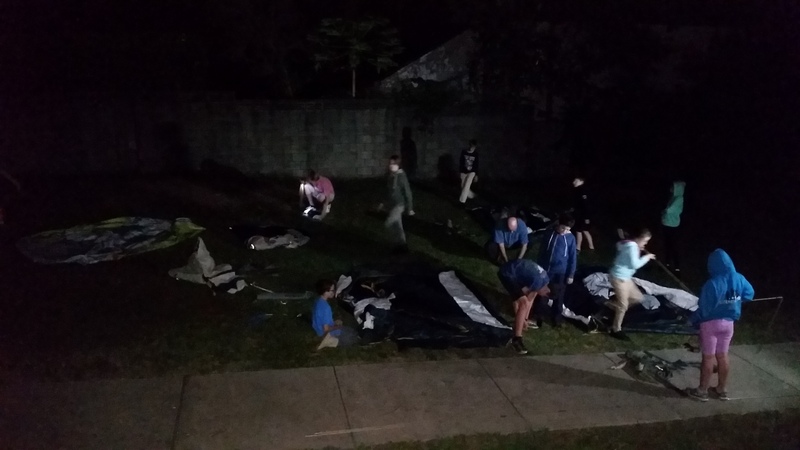 Congratulations to the 8 scouts who attended Operation Butterfly. Your behaviour was exemplary. Many leaders have personally approached me to tell me how impressed they were with your efforts as a patrol working together as a team, helping each other and your positive attitude to every base. BRAVO! This has to be contextualised with the knowledge that, for all but two of you, this was your first ever OB. For some of you it was your first camp as scouts. And the torrential rain and storms, that meant many bases were temporarily closed as well, means an even more fantastic effort on your part. Sometimes it was hard, often it was muddy, there were small challenges but each of you has grown and blossomed so much and should be congratulated on persisting through the cold and wet! 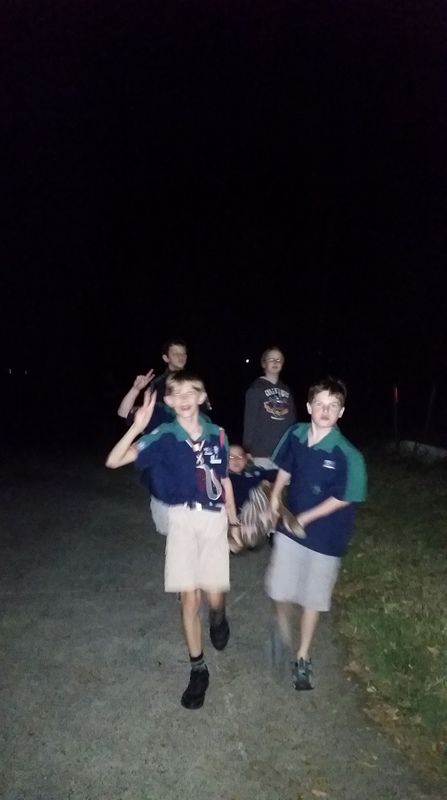 Tonight we had a base rotation activities night with conservation as our theme with Earth Hour and World Water Day being this week, along with Harmony Day to celebrate all the different people of the world caring and sharing our planet together. Base 1 – Making paper lanterns in the dark. 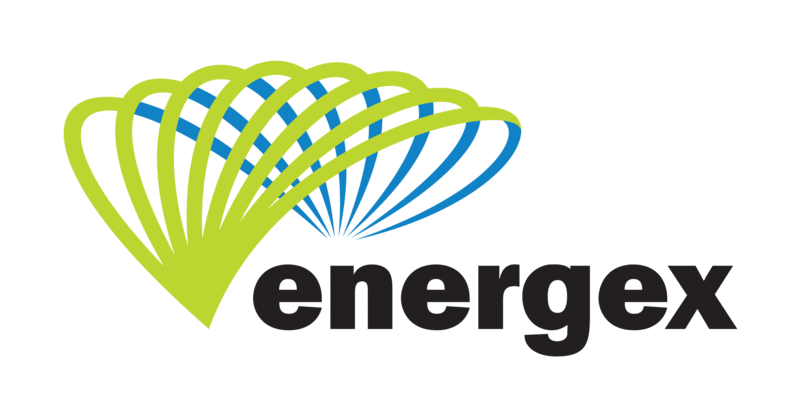 Reminded us that we are very fortunate to have electricity at our finger tips. 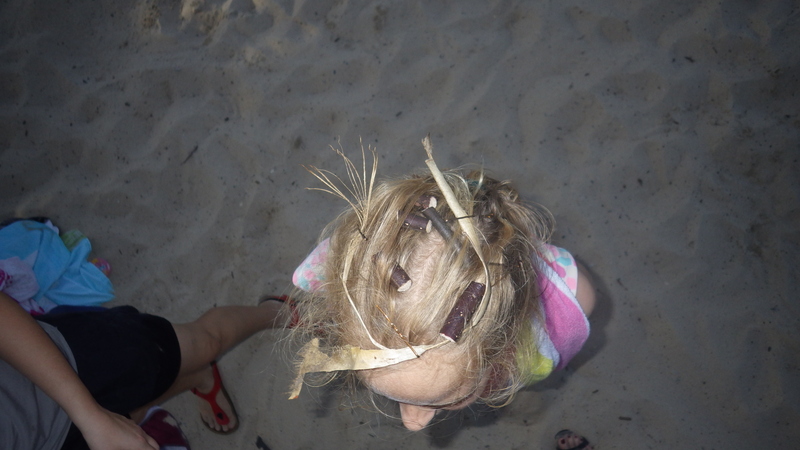 Base 2 – Learning how to filter water using basic means such as sticks, gravel, paper towel and cotton wool. We learnt to appreciate the water we have every day and just how difficult it can be to purify with limited resources. 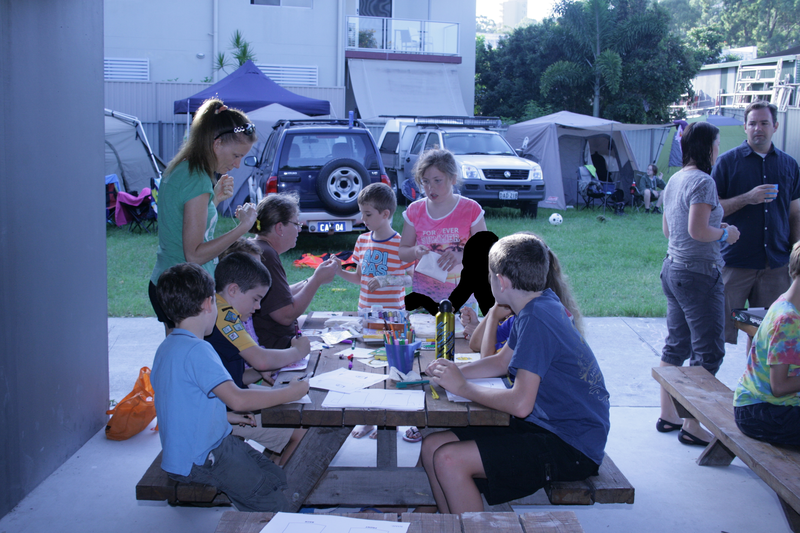 Base 3 – Harmony Day Activity. Thanks to Hawkeye for coming and helping us out. We learnt about the cultural aspects of three different music tracks and how they related to us in a global cultural context. 2nd Feb Welcome Back Night Our first night back at cubs saw three new cubs join us for the first time which is really exciting. 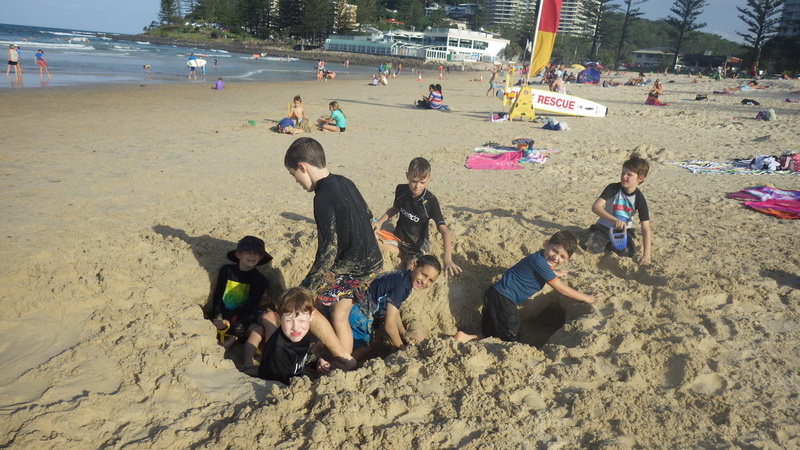 We had lots of fun doing different games and activities. 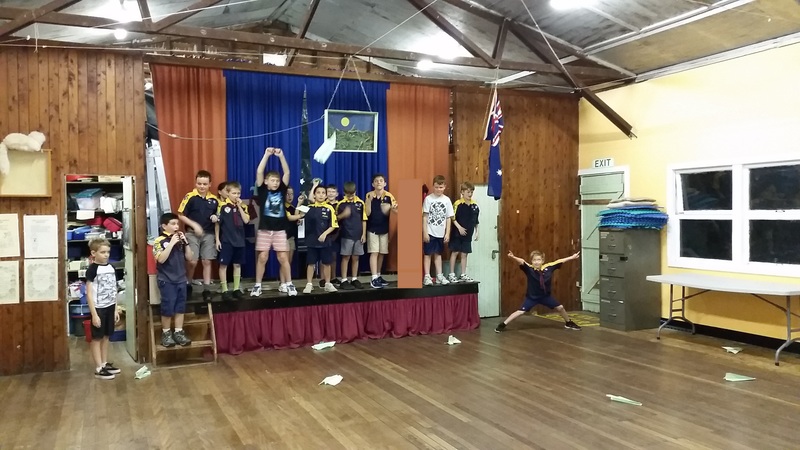 Our favourite part of the night was making paper planes and having group launches to see how far they would go. Turns out we are all really good at making paper planes – perhaps it was all the inspiration we got from the recent movie? Our cub leader Kaa has been quite unwell and has had to have surgery. She is having the term off to recover properly and Hawkeye will be filling in for her. 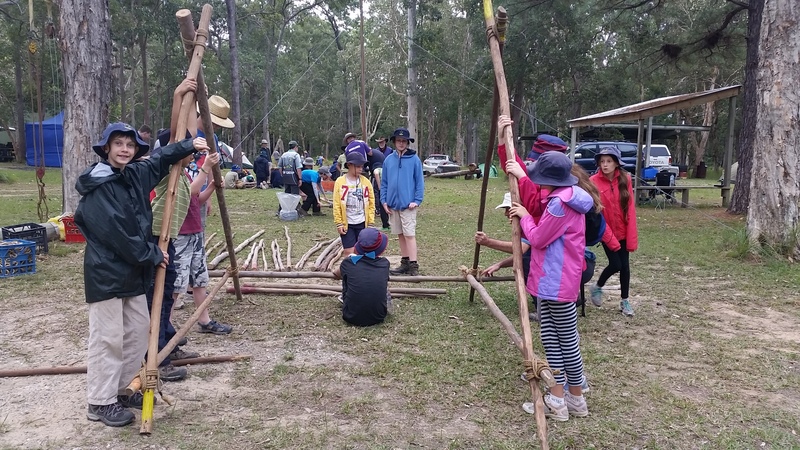 Bagheera (Victor Joey leader), Echidna (Victor Scout leader) and Emu (District Joey leader) will give Hawkeye a hand and we would love for some parents to help out when they can too. 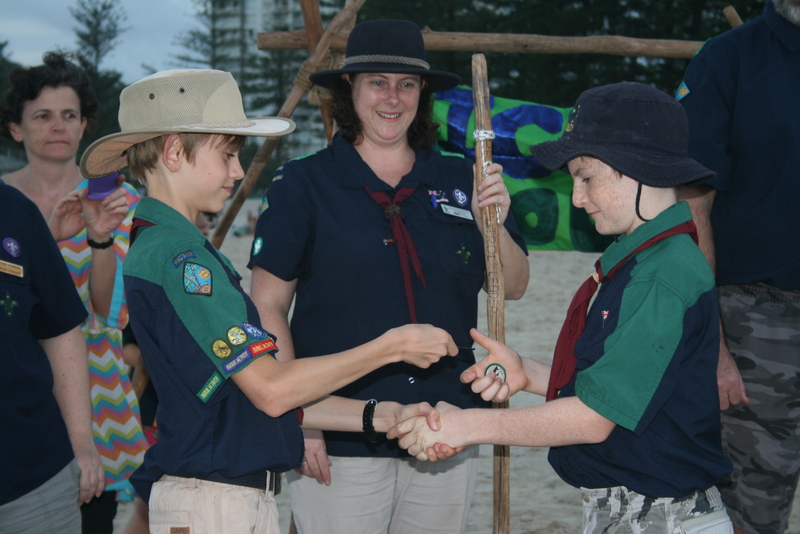 9th Feb Law & Promise Night For many of us learning about the scout promise and law is a new thing. 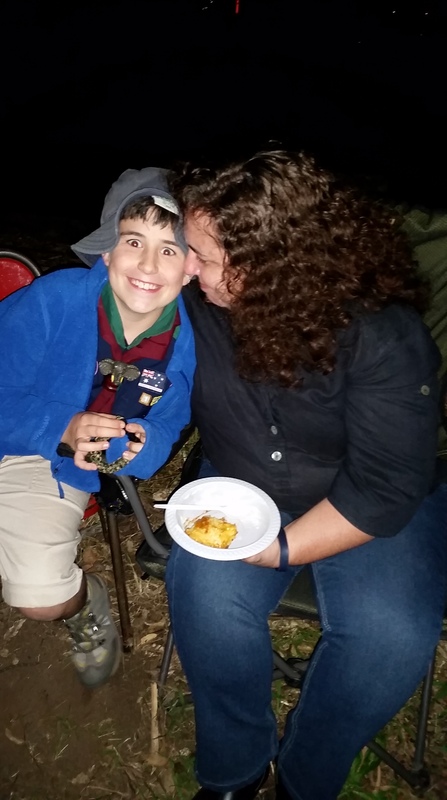 We had a great chat about how we can live the cub scout way by doing our best, being loyal and obedient, not giving into ourselves, helping other people and ultimately still having lots of fun living and sharing. We have also been learning how to do parades which can be a bit tricky sometimes. 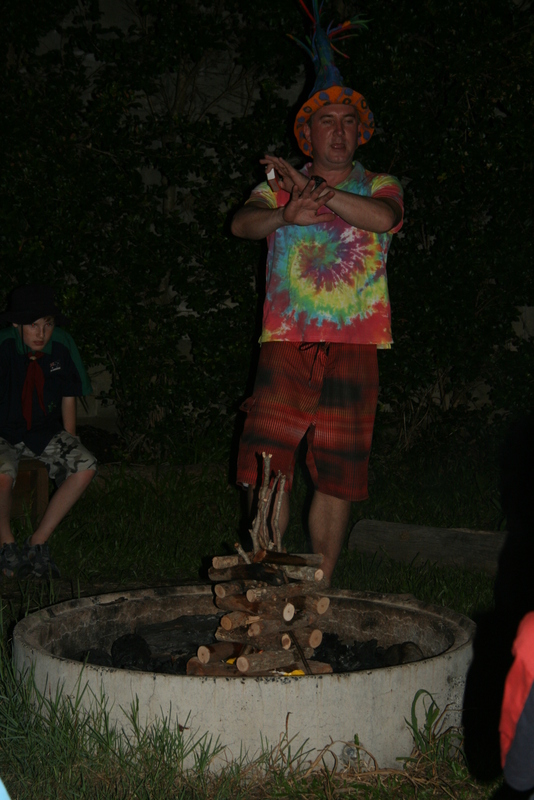 16th Feb Campfire Hawkeye loves campfire and he has a really funny hat that he wears too! We also discovered that Denae and Nolan’s Dad has an amazing scout blanket from Canada that he brought to use at campfire too! He has some really awesome badges. 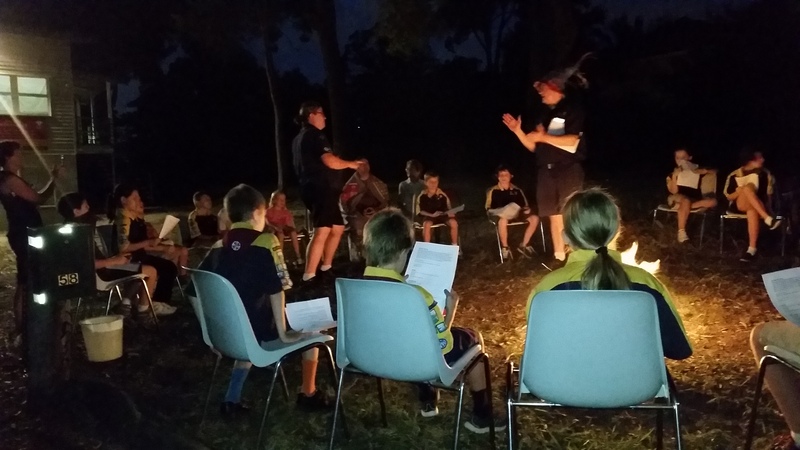 The cubs are starting to learn some new campfire ceremonies and songs. 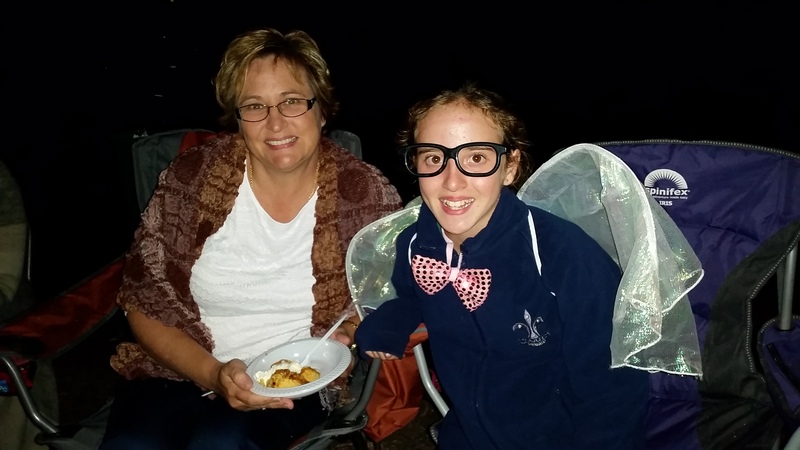 It was fantastic to see some of our parents be able to join us around the fire too. The highlight of the campfire was the ceremonial lighting where all the cubs called out in their biggest voices to the special ‘firefly’ that flew around the den grounds and then set fire to the campfire for our enjoyment! 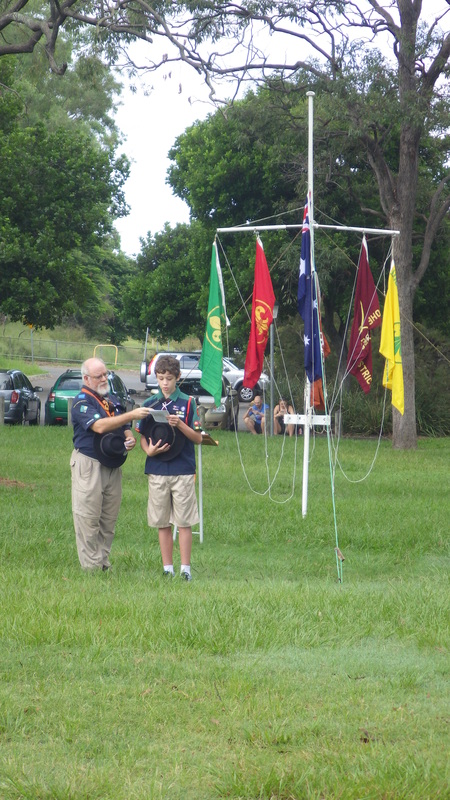 1st March Founders Day and JACS (Joey and Cub Scout) Rally Due to Cyclone Marcia Founders’ Day ceremony and JACS Rally had to be postponed to the 1st of March. Unfortunately this meant that some of us weren’t able to go to JACS Rally. 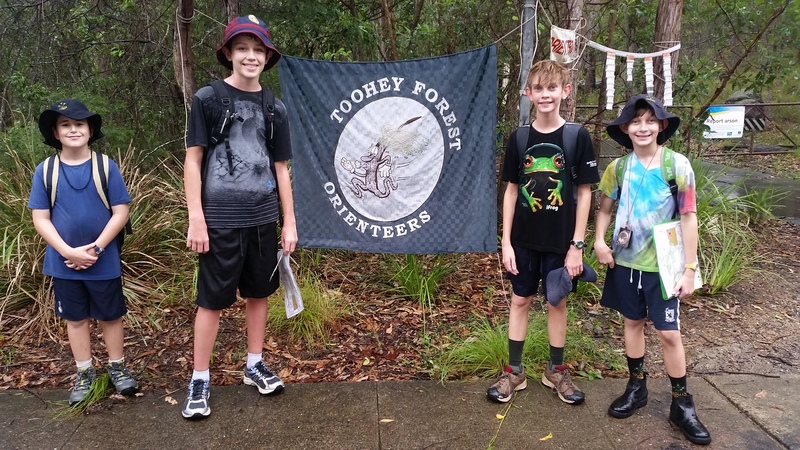 For those of us who did go it was an awesome morning of fun with Joeys and Cubs from the whole of Toohey Forest District joining in. 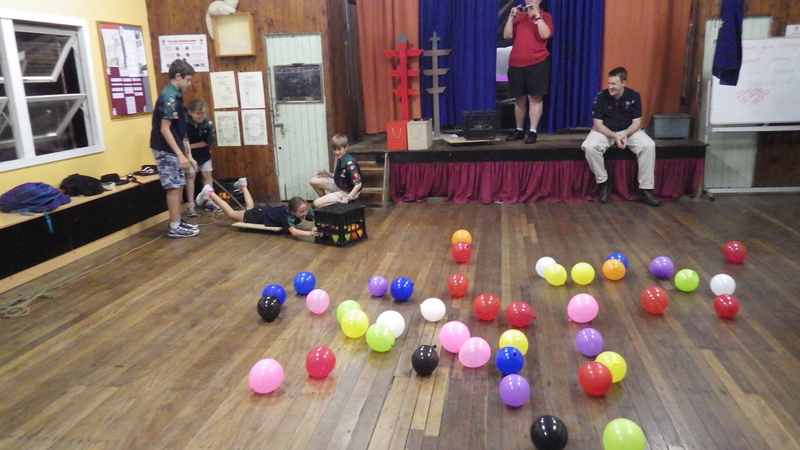 Our favourite base was the Baden Powell Birthday Cake game that our fantastic Joey scout Leader Bagheera created! 23rd Feb Bushwalk Tonight we went exploring off into Whites Hill State Forrest. It was an exciting adventure and we saw lots of things. Thanks so much to Archie’s Dad for spending time teaching some of us about all the cool insects and things in the forest. 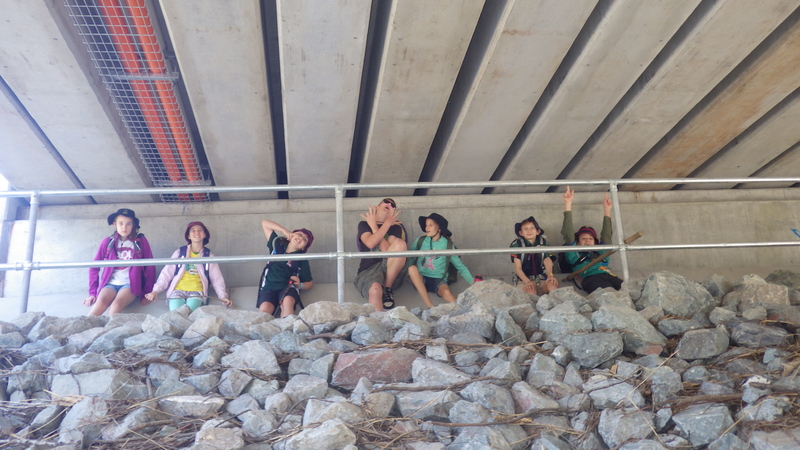 For some of us it was a fun opportunity to join in with Declan’s Grey Wolf hike. 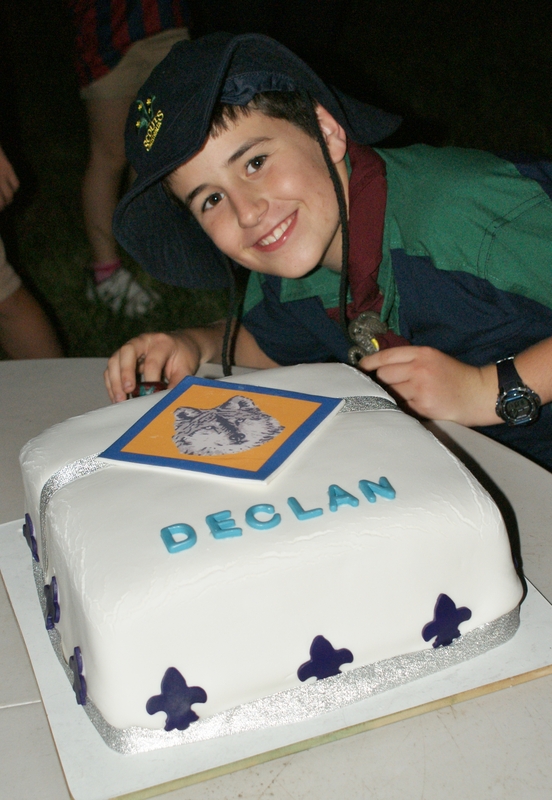 This was the last thing that Declan needed to do to finish his Grey Wolf award. We went up a big hill and together we made it! 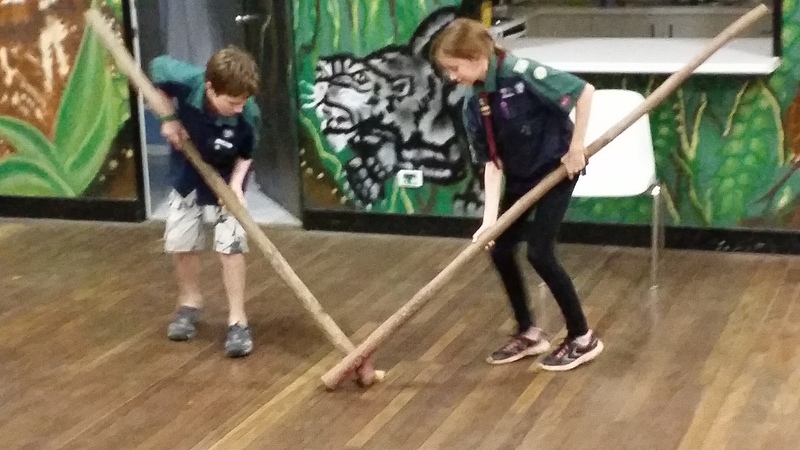 2nd March Fitness with Scouts We are starting to get right into doing our Boomerang award work and tonight was a great example. 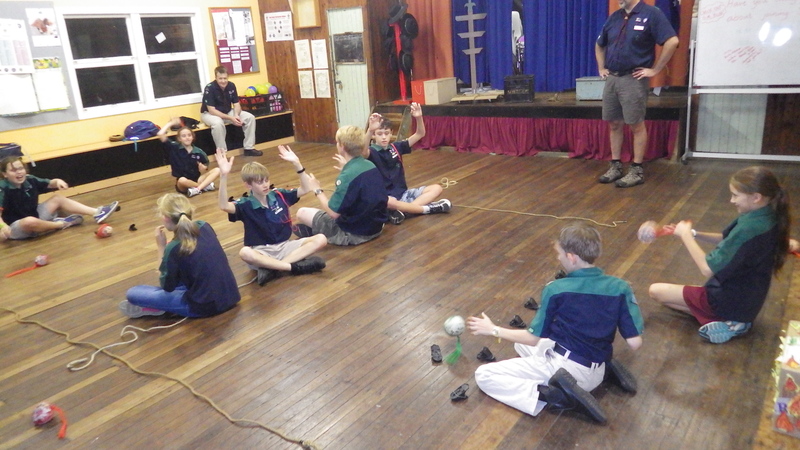 Hawkeye invited the scouts to come along and join us to help us learn about different fitness activities. 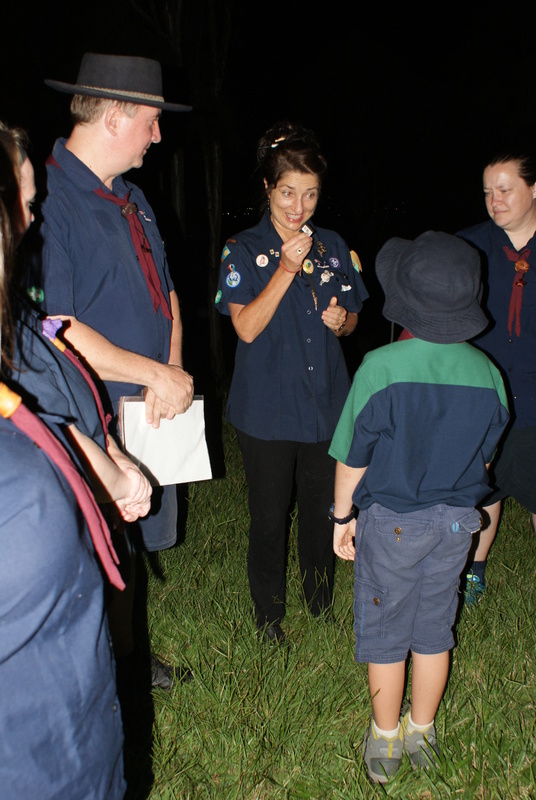 It is always a good opportunity to get to know the scouts better when they come a help us and ultimately it will help us when we eventually go up to the next section because we will already know them. We split up into our Bronze, Silver and Gold Boomerangs to work on different fitness activities. 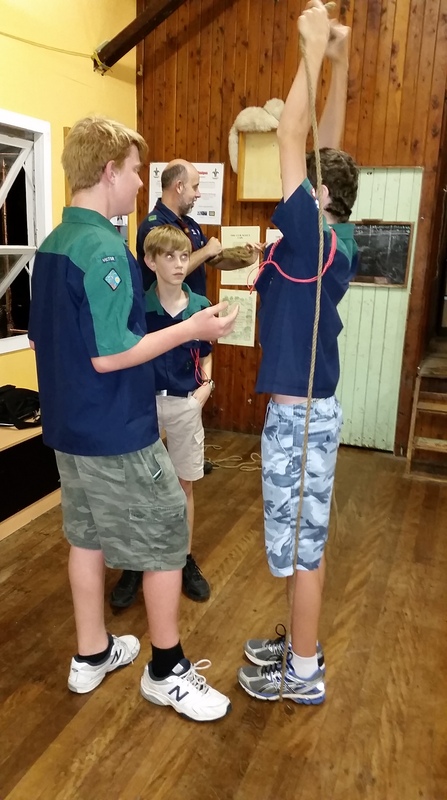 The scouts help run each activity (and that helped them get their badge award work signed off too!) What we learnt was that lots of us a really good at skipping and doing funky basketball dribbling moves! We even had a go at big skipping all together – it was hard trying to do it all together but it was fun! 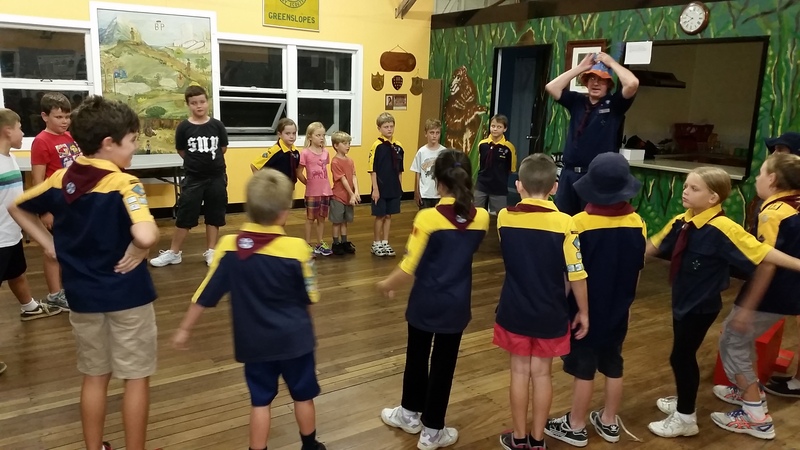 9th March Health & Safety, New sixes, Induction of Sixers Tonight was extra special. We had a really big opening parade. Everyone got assigned to new sixes (Grey, Black, Tawny, Red and White). 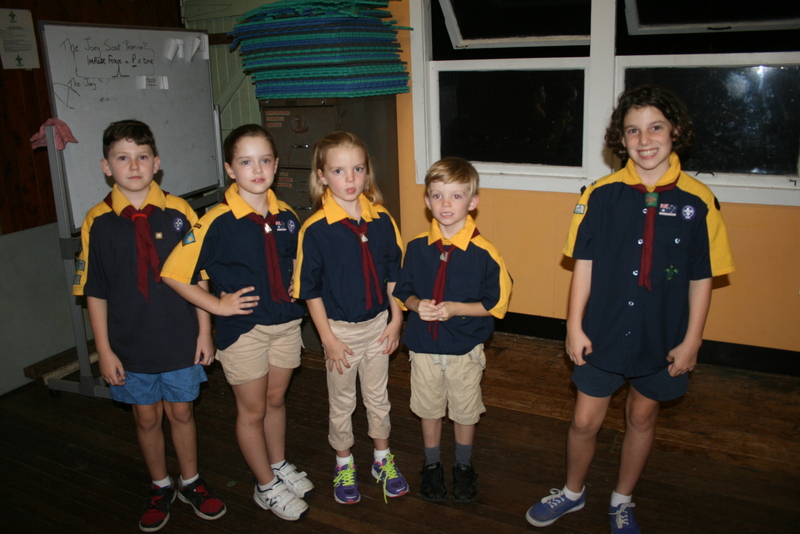 We have five new sixers and four seconders. From now on we will do activities in either our sixes or Boomerang award levels depending on what the activity is. Being chosen to be a sixer or a seconder means that you are growing up and starting to demonstrate some leadership skills. It is hoped that the majority of cubs will at some point have the chance to be at least a seconder if not also a sixer before they move up to scouts. We have had quite a few new cubs join us from other groups who bring a lot of experience with them from their old groups. They will only be sixers for a short time until they’re nearly ready to go up. When they move up to scouts new sixers and seconders will be appointed. 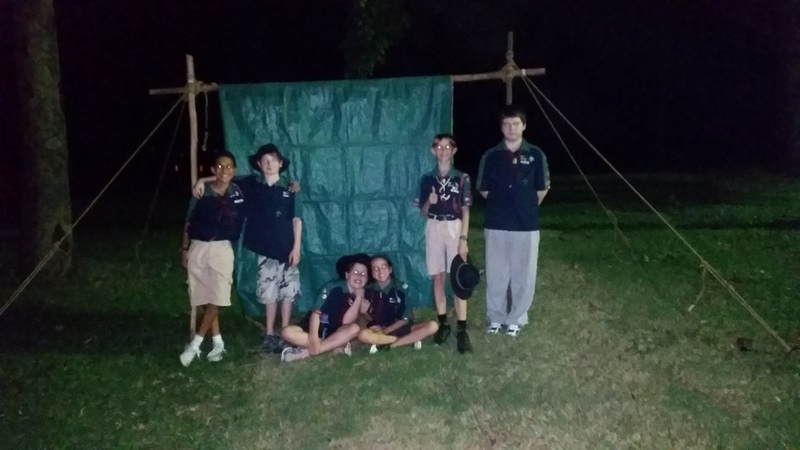 Those cubs who are moving up to scouts very shortly get to be in a special six – Grey. 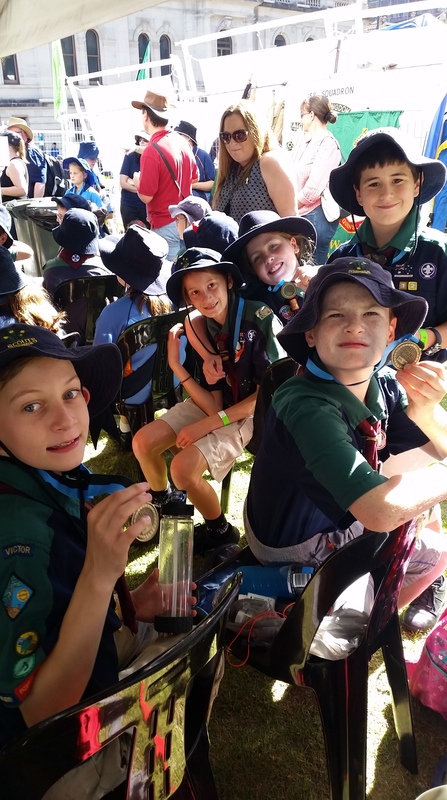 Here they are able to finish off any badge work they would like to complete (hopefully Grey Wolf awards but not necessarily as not everyone wants to do badge work and that’s fine too) before going to scouts and their job will be to help the cub leaders with activities. 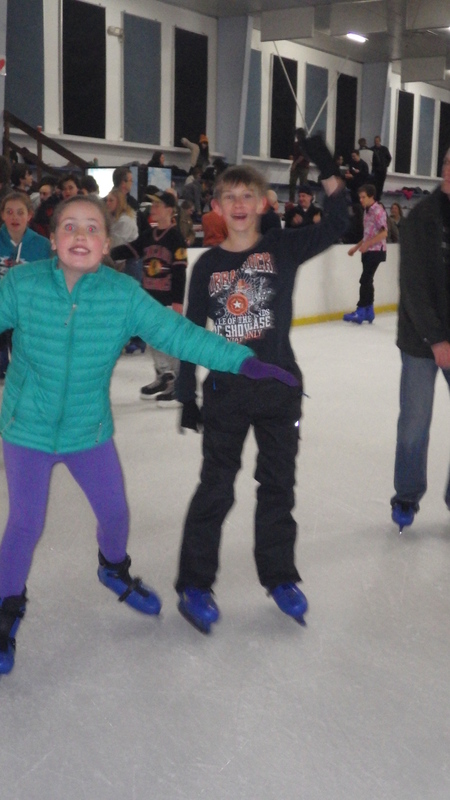 Congratulations to all our new sixers and seconders and we hope you enjoy your new sixes! 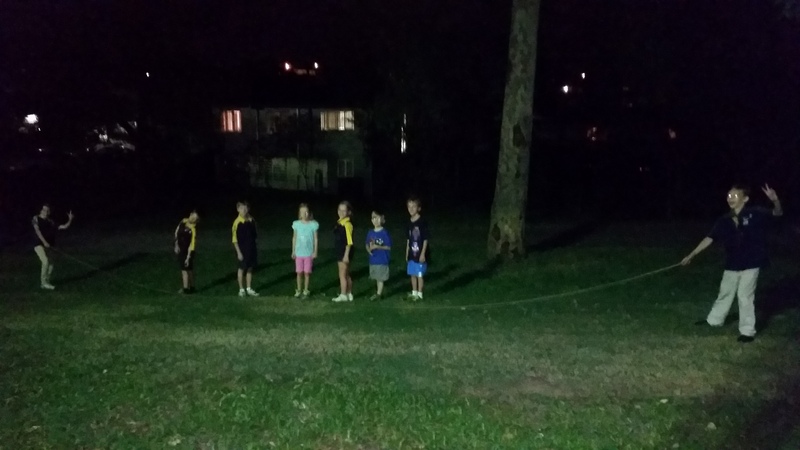 Our sixers Black Six Tawny Six Red Six White Six For activities tonight we were looking at health and safety. 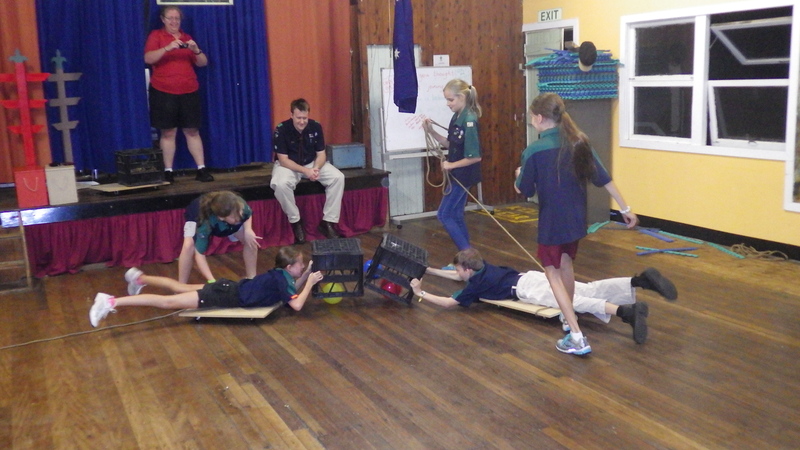 Each six developed a skit together that demonstrated something dangerous to cubs that might happen in the home. After each skit we talked about what we could do to make sure that the bad outcomes didn’t happen and that we could be safe. There were lots of great topics – Granma’s medicine cabinet, a home invasion when parents weren’t home and the dangers of sharp knives. At the end of the night we played some really cool games with the scooter boards Hawkeye made for us. 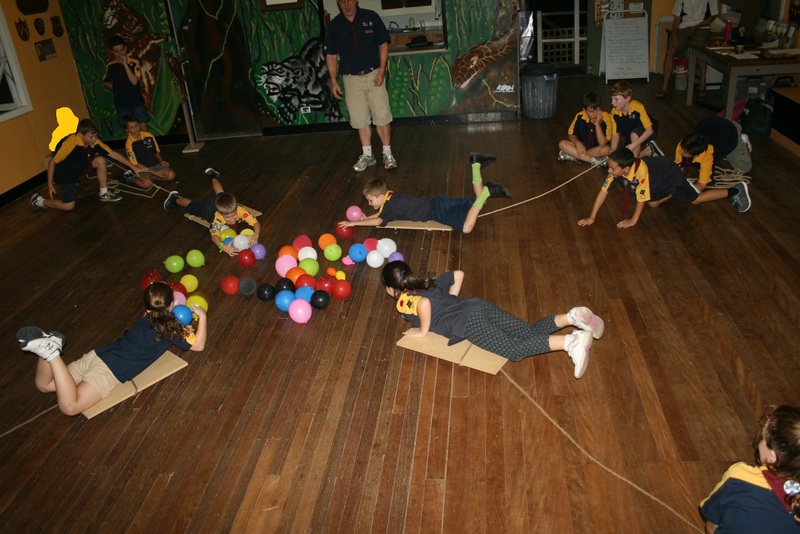 The first game was Cub Hungry Hippos where we had to work as a six to catch as many balloons as possible from the middle of the hall. 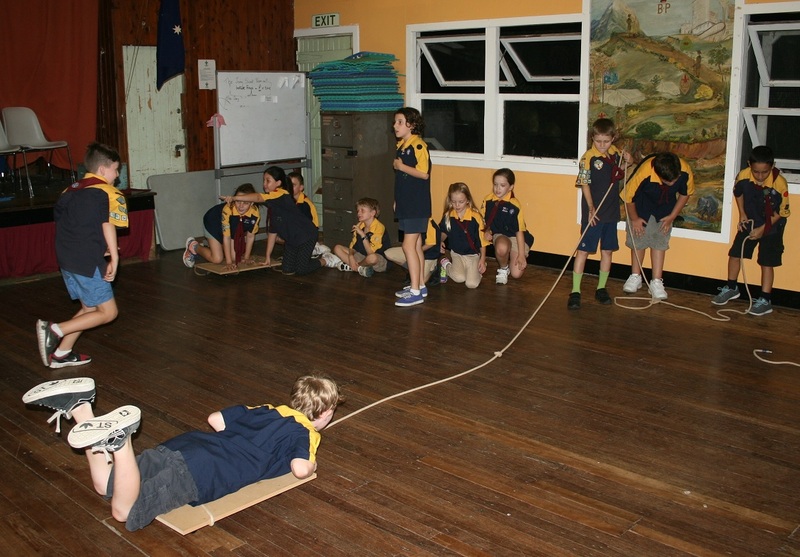 The second game was Creek Crossing where we had to transport our whole six across the entire den by using just the scooter board and a piece of rope. 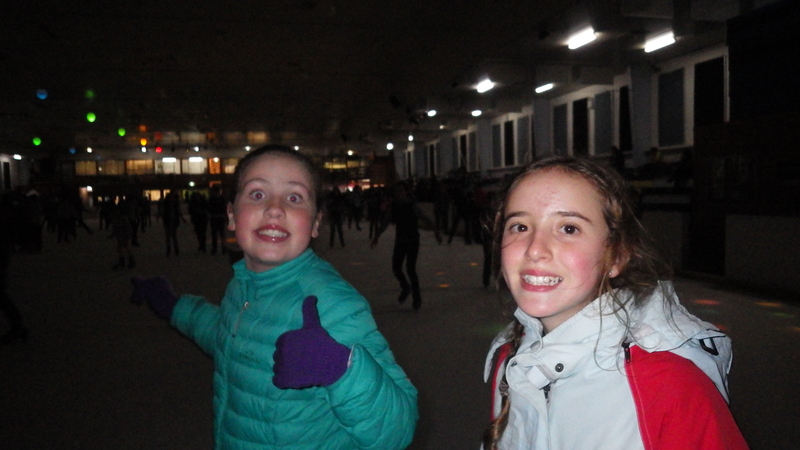 There was lots of laughing and fun and we all worked really well together. Tonight was a very special evening. 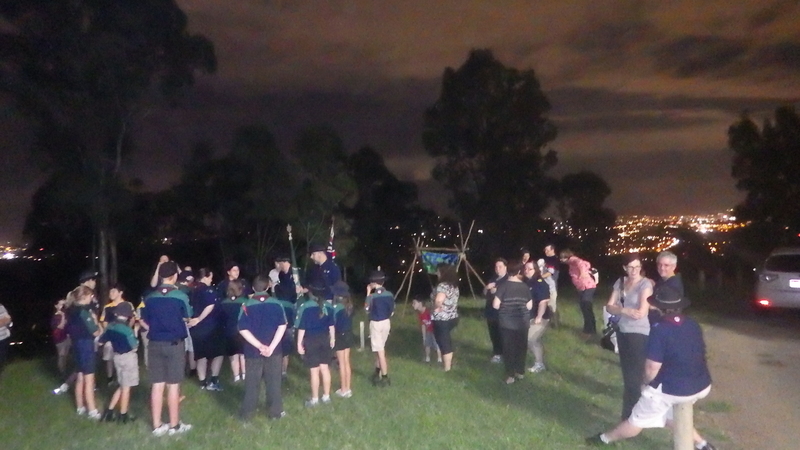 We went up to the Mt Gravatt lookout to have a combined cub linking and scout investiture ceremony. It was really beautiful and memorable with the sun setting over the cityscape. Appointment Ceremony on opening parade. 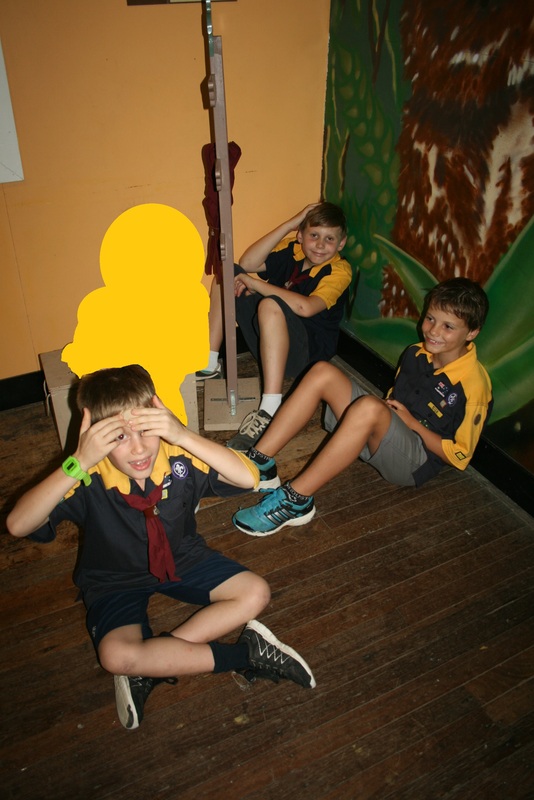 Our three new Patrol Leaders (Elliot – Penguin, Joseph – Panther and Koala’s PL) all took their Patrol Leader Oath and were presented with stripes, whistles and patrol staves. 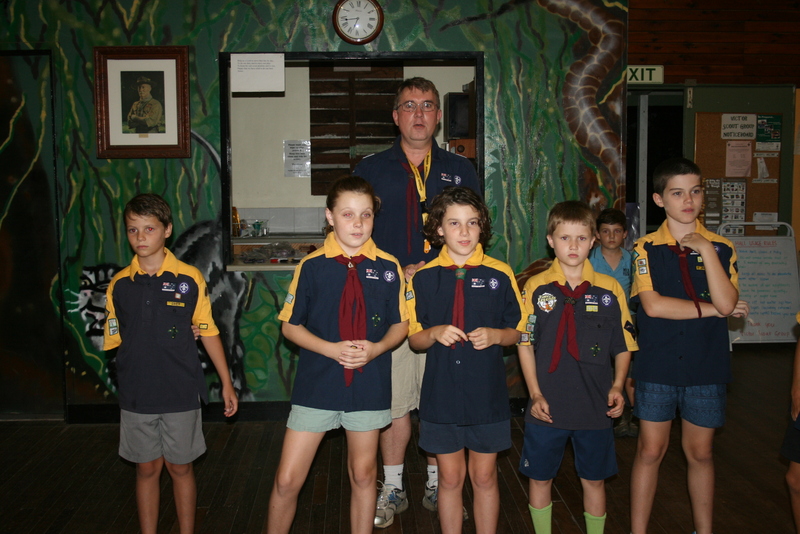 Two of our three Assistant Patrol Leaders (Panther – Michael and Laura – Koala) were able to be there and to be appointed. Our linking ceremony was for Declan and Annie. 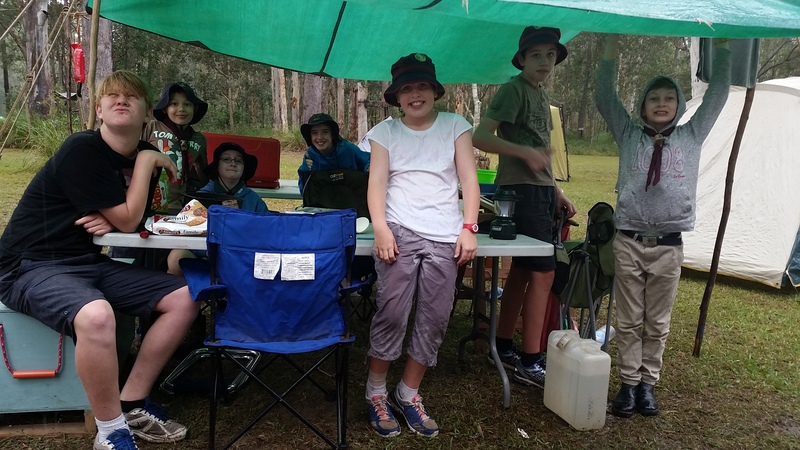 Some of their cub leaders were able to come along and share some special stories with the cubs about Declan and Annie’s journeys through cubs and their achievements – both of whom have earned their Grey Wolf Award. 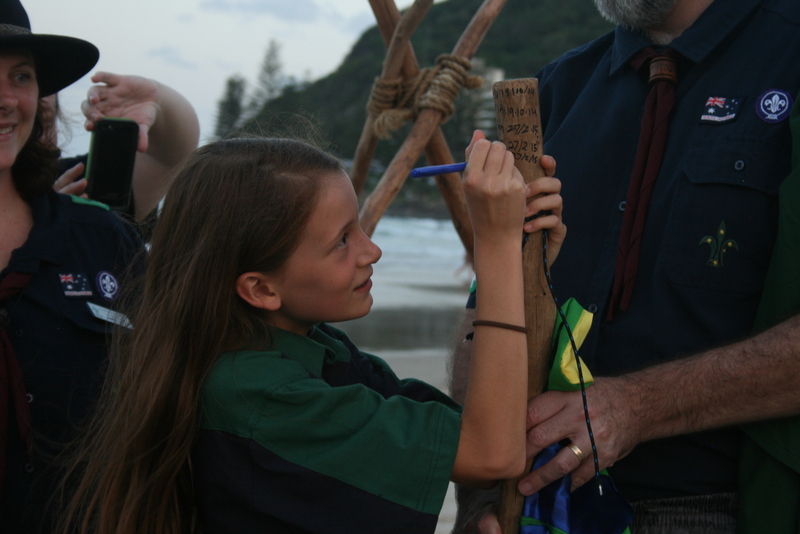 One of our new traditions is that anyone who is invested into the scout section (be it from cubs or new) writes their name and the date of their investiture onto the gateway crossbar. We use the same bar every time so over the years we will have a fantastic record of everyone joining Victor scouts! 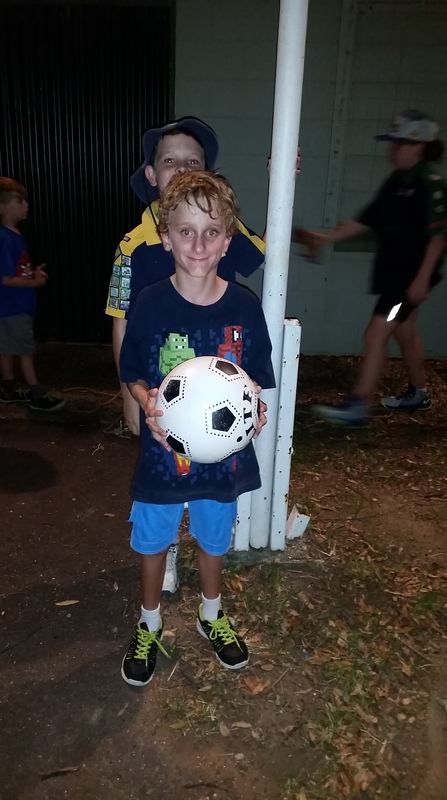 We also invested a new scout all the way from the UK – Michael. It was great to be able to share this ceremony with lots of parents who stayed and many people in our community who were at the lookout. 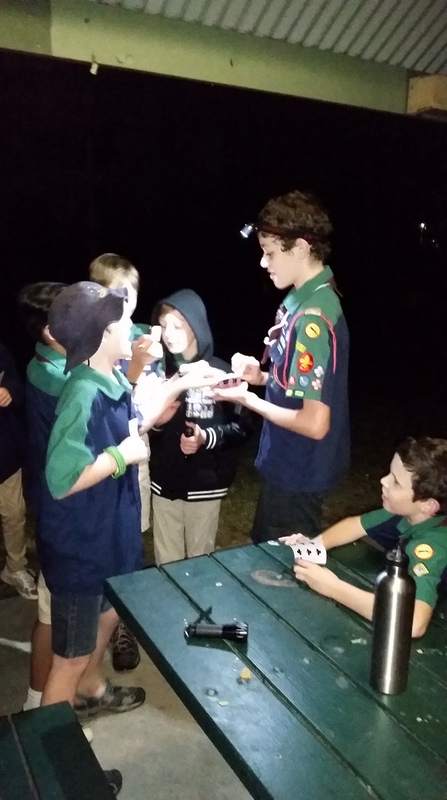 It was also a great night to do a first link night for two of our linking cubs Austin and Adam. We are happy they are joining us and looking forward to when they too will have a special investiture ceremony. 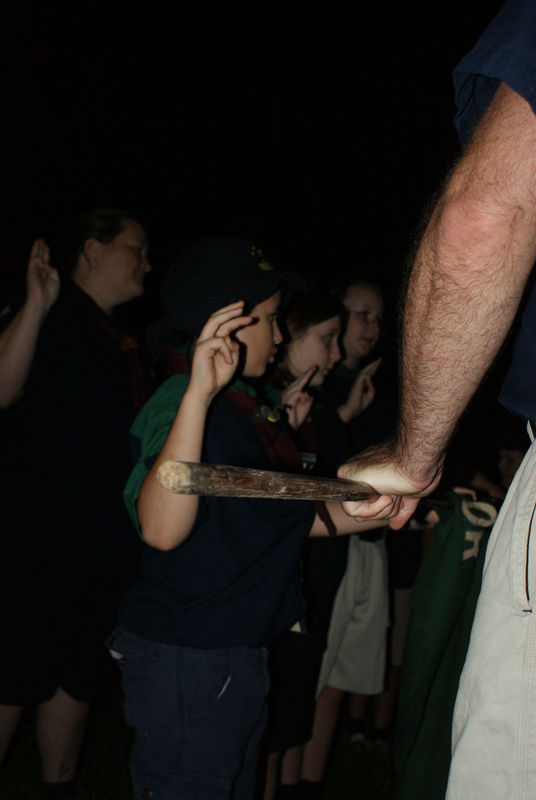 In the mean time they are starting to get to know what scouts is like. 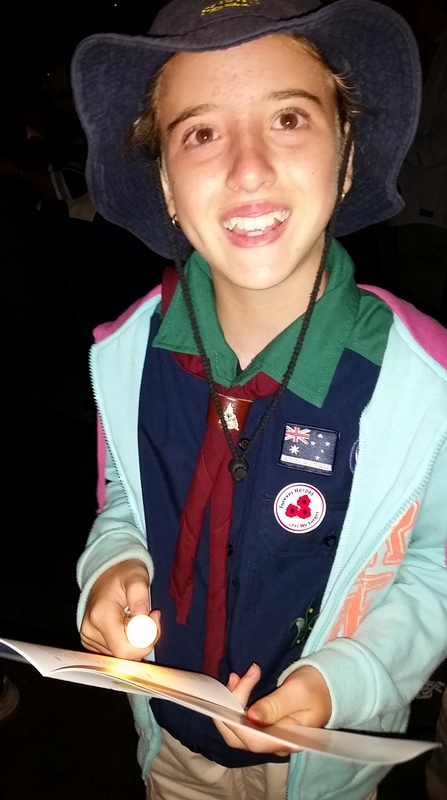 As it happens everyone in the section received a badge of some sort tonight too; that doesn’t happen very often! 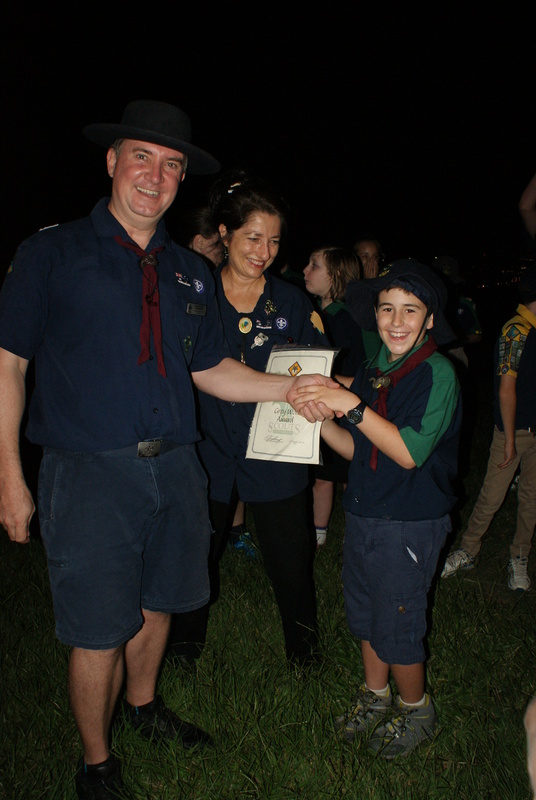 Either for award work they had completed, a new patrol patch, investiture or linking badges. 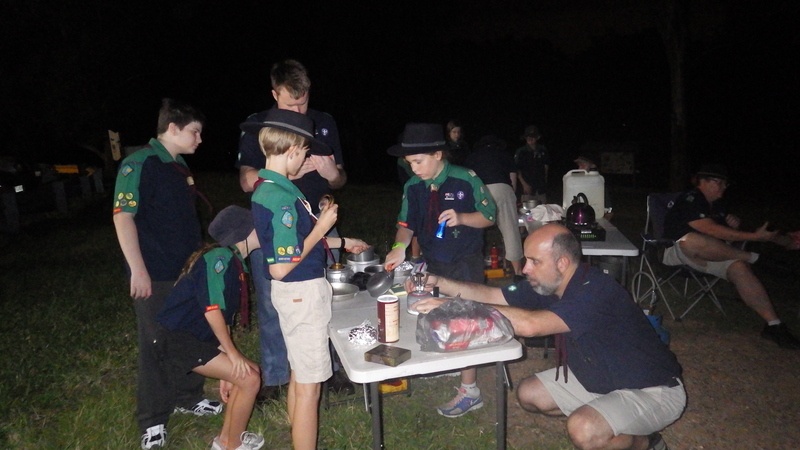 For our activity tonight we also learned about light hike cooking methods using solid fuel (hexamine), liquid fuel (metho) and gas fuel (butane). 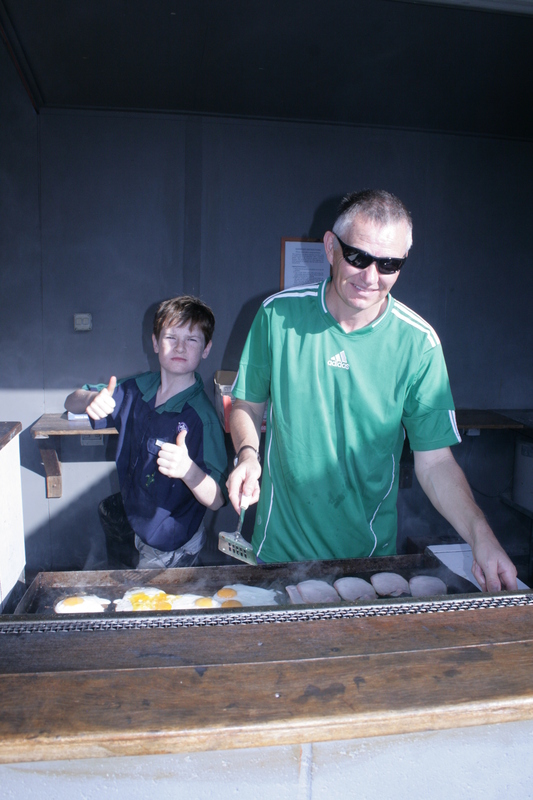 Each patrol chose two of these methods and then cooked themselves some supper. 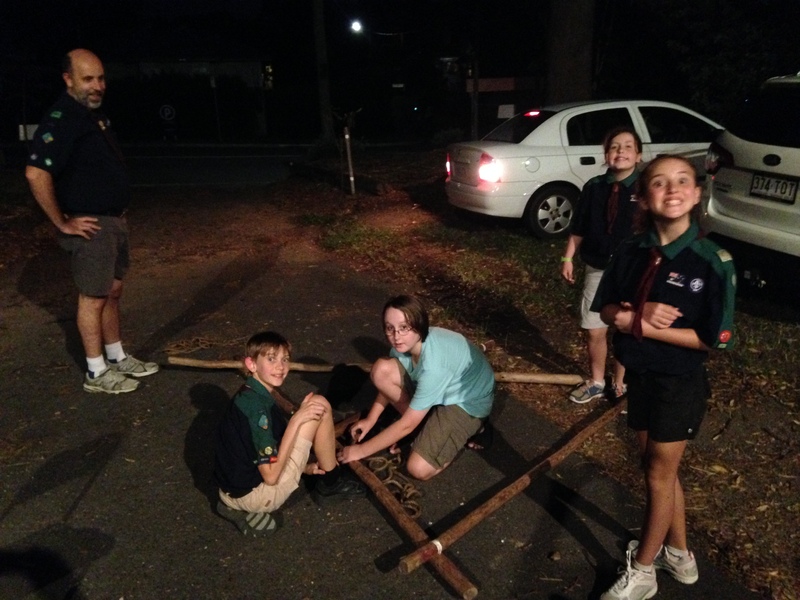 Koala and Penguin patrol made s’mores (short for some more!) and Panther patrol made chocolate dipping sauce. A huge thank you to all the parents and leaders who were able to stay for the investiture ceremony and also to Komodo for his brilliant orchestration of the tea/coffee/hot chocolate for supper. Due to Cyclone Marcia Founder’s Day was postponed to this date. 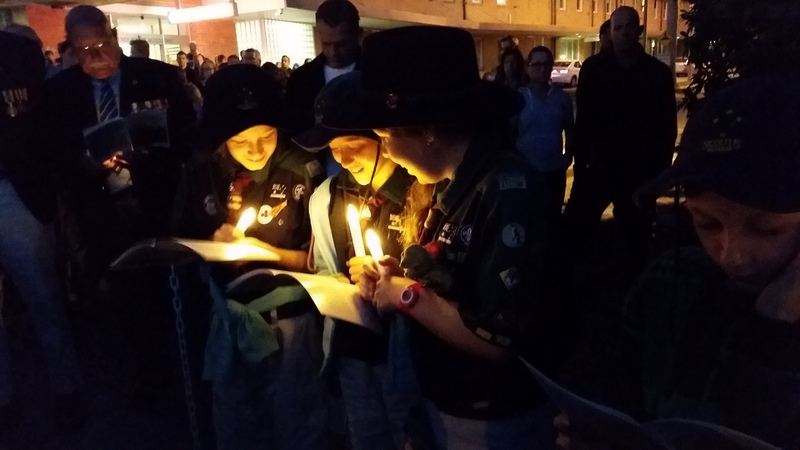 Some of our section were able to join the ceremony to celebrate Baden Powell’s birthday which is the date we use to remember the fabulous opportunities and experiences we all have through scouting that wouldn’t be possible without BP. An important scouting skill is learning how to set up a camp site. Tonight we learnt and practiced a few different knots and then used them to learn about teamwork and constructing a kitchen fly. The kitchen fly keeps the rain and sun off our camp kitchen and uses wooden spars, rope, pegs and a tarp. 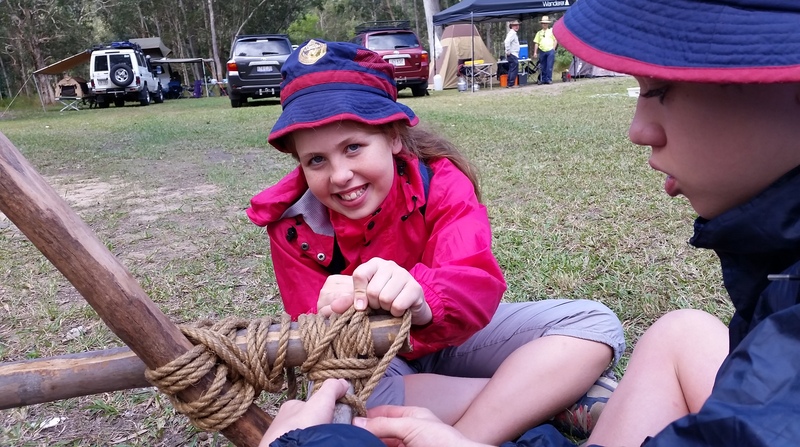 It also covers both Pioneer knots (clove hitch, rolling hitch, sheet bend) and Explorer knots (bow line) so opportunity for everyone to learn together. 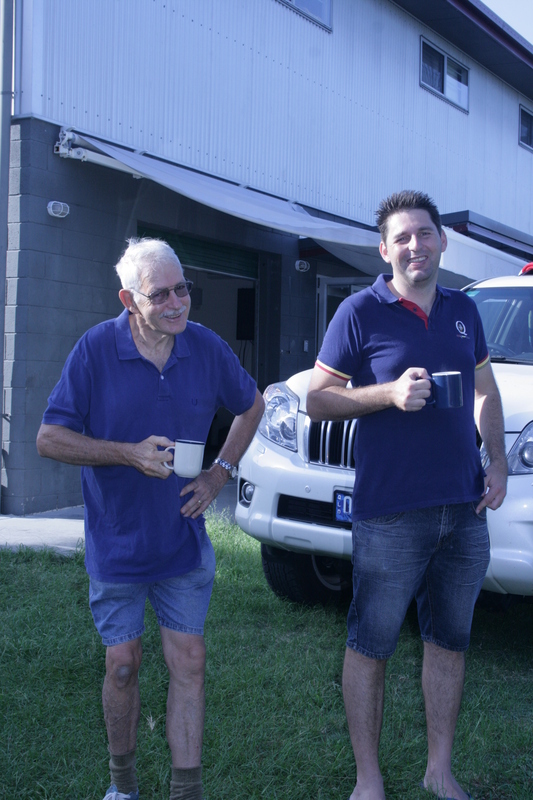 Even basic skills like how to bang a peg into the ground safely and how to look after gear. We didn’t quite get them completely up but that’s OK and we gave it a really good go! 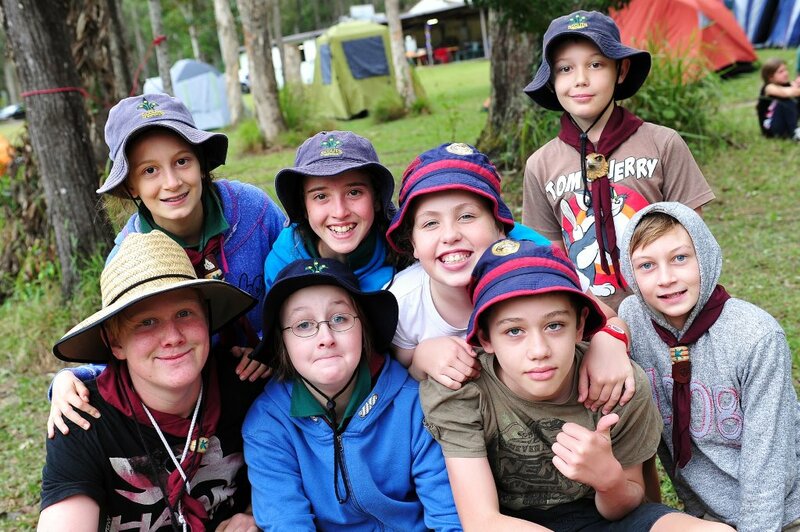 Most of our scouts were able to join in the fun of family camp. 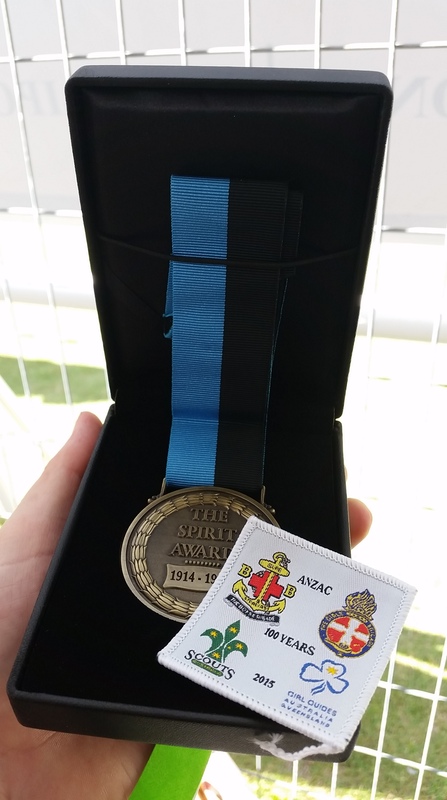 As a section we were able to do some sewing of badges onto uniforms and to also get award work signed off. 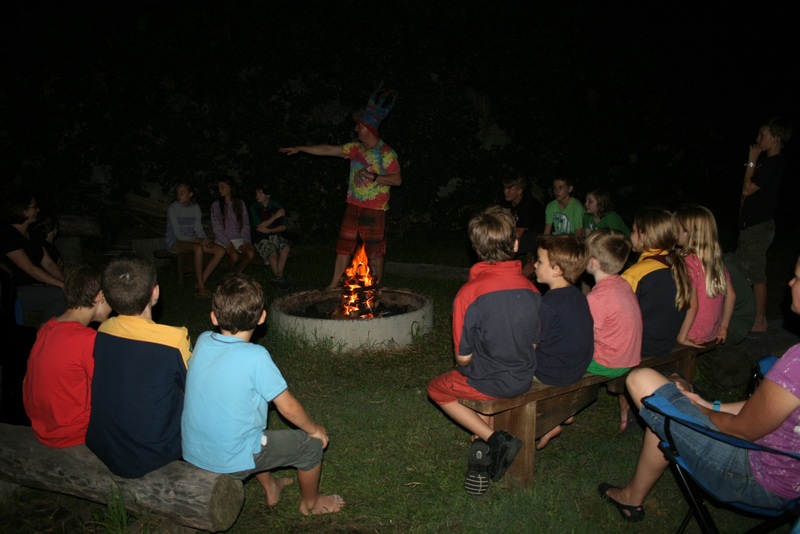 Camps are often an excellent opportunity to do these sorts of activities. 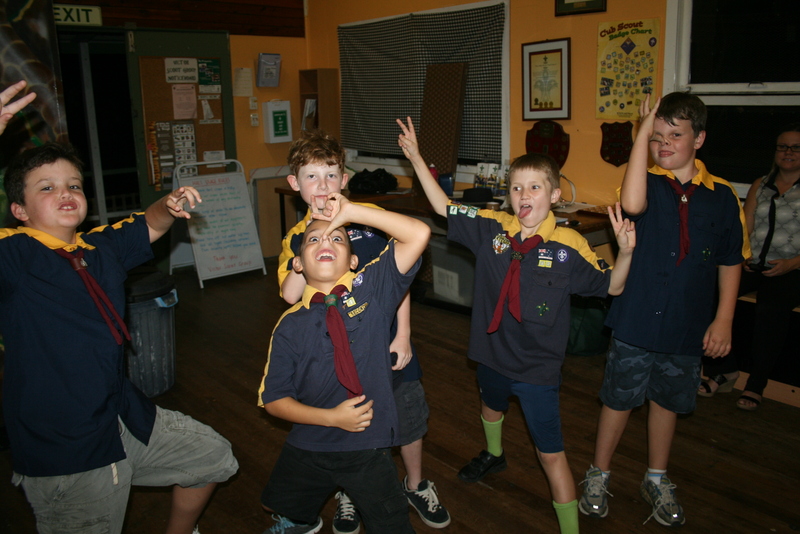 Our patrol leaders taught everyone how to sing “Road Kill Stew” and some of our scouts either organised and performed skits or helped to lead songs. 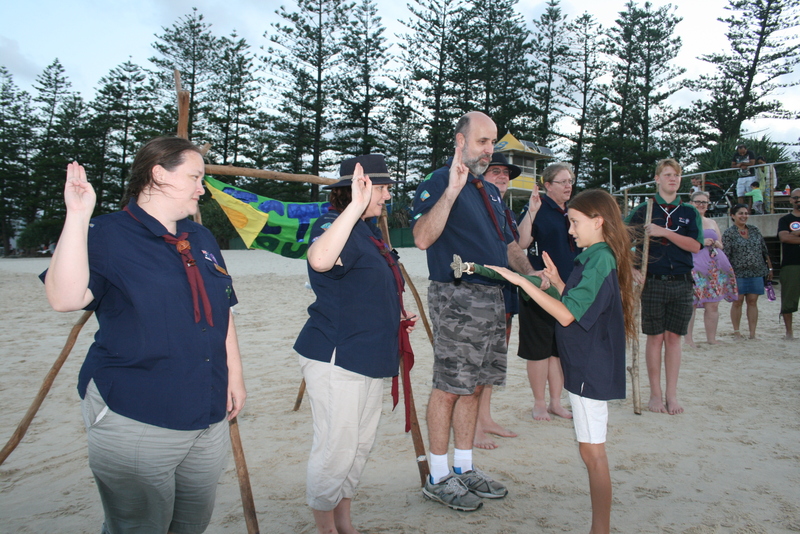 We also held a special ceremony at sunset on the Burleigh Heads Beach to invest Ellie into the troop and to appoint Tadgh as an APL. Congratulations to both. 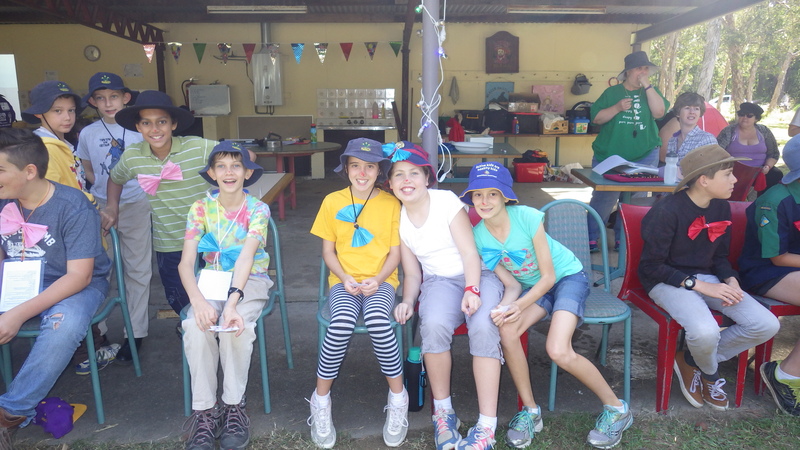 Well done everyone – camp was so much fun and you all helped to make it happen! 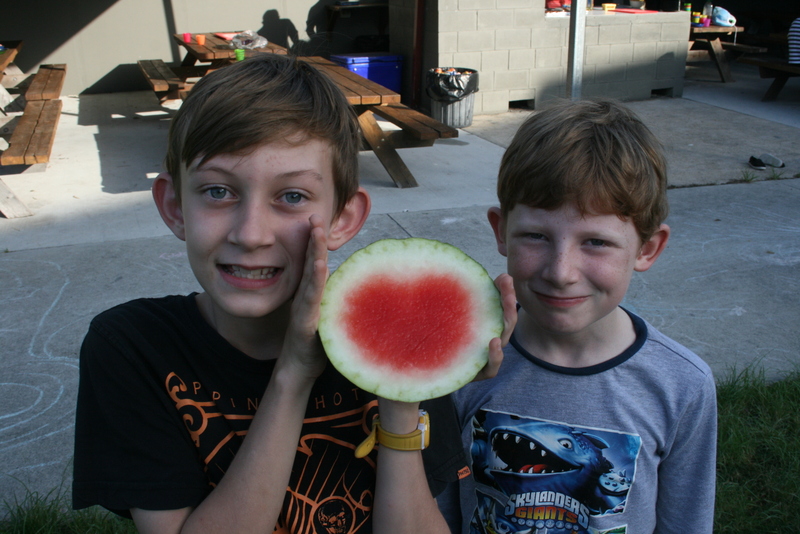 See the separate blog post of all the things that happened at family camp. 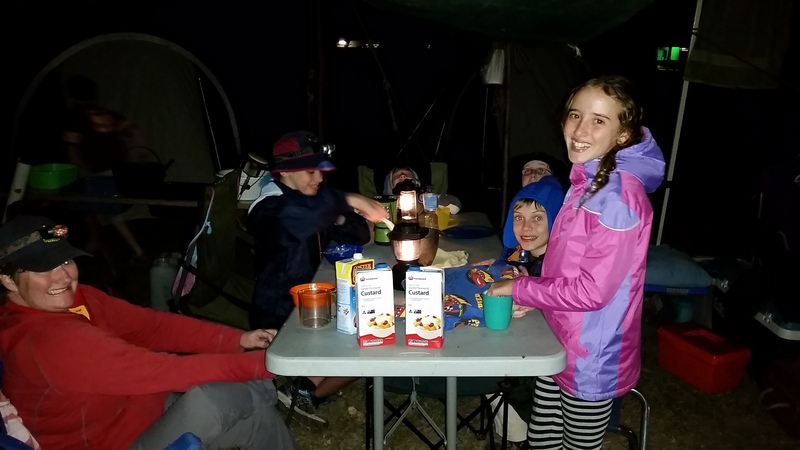 In a couple of weeks some of our scouts are headed off to Operation Butterfly – this is a lightweight hiking camp over a 24hr period. 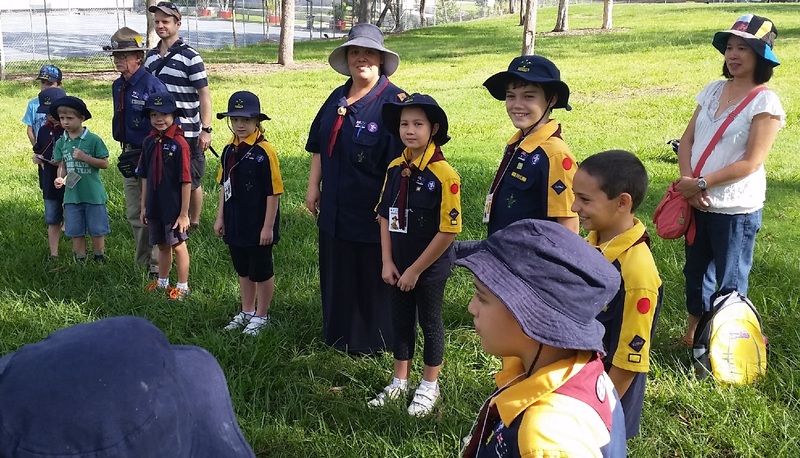 Scouts navigate through bushland to reach different bases. 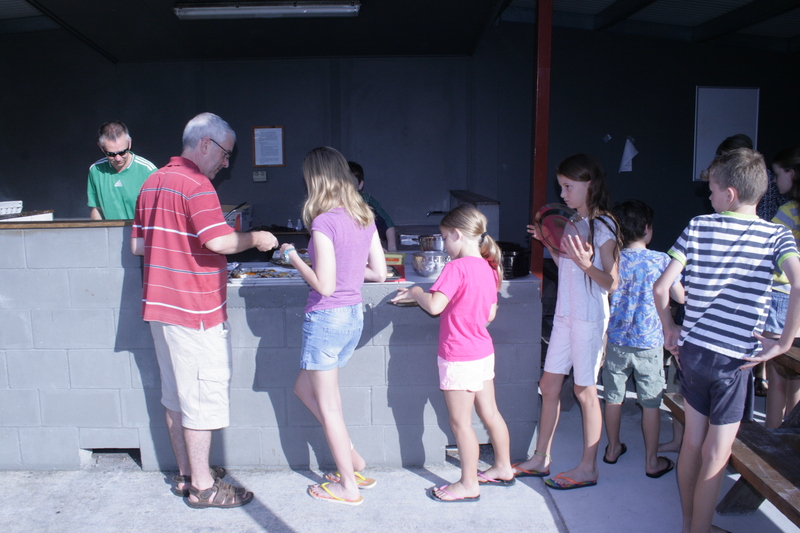 At each base there are activities to complete as a patrol. This is a competition camp where points are awarded based on navigation skill execution, teamwork and completion of base activities. 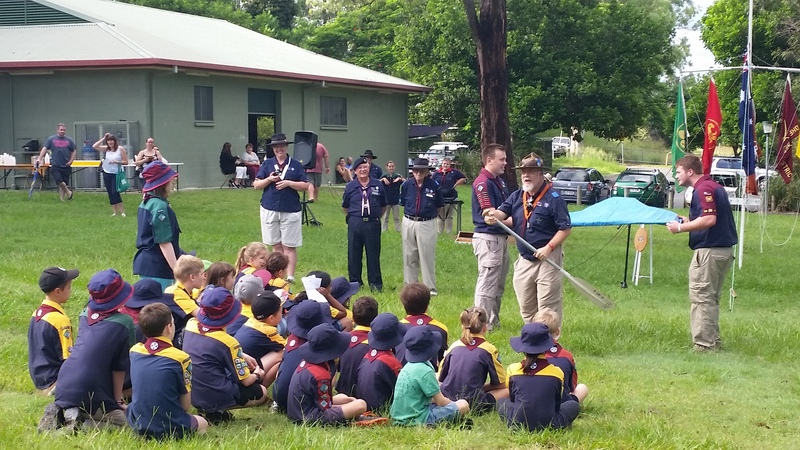 Ultimately it doesn’t really matter about points, it’s a great opportunity for scouts to meet other scouts in the South East corner of Qld. 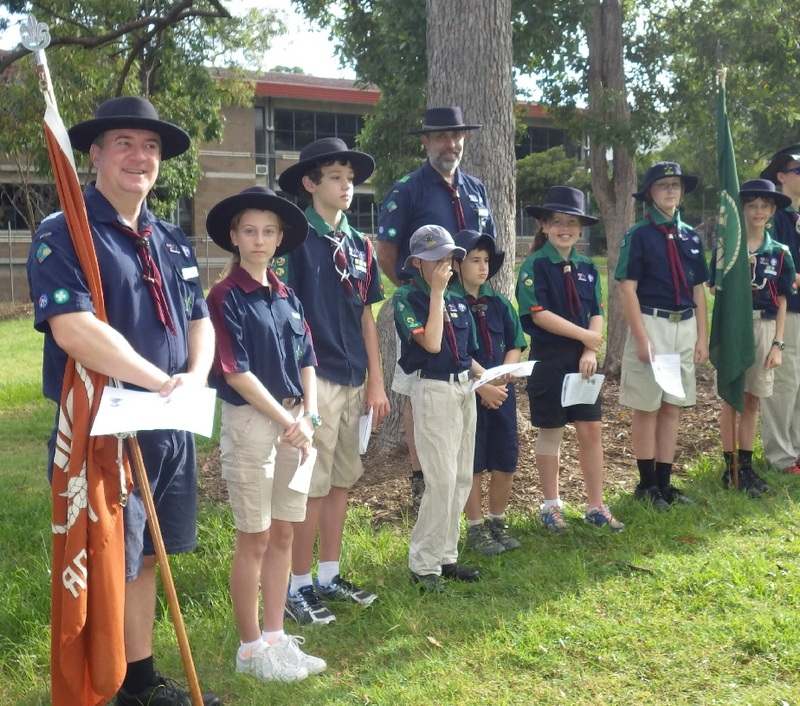 There are generally about 400-500 scouts that participate. 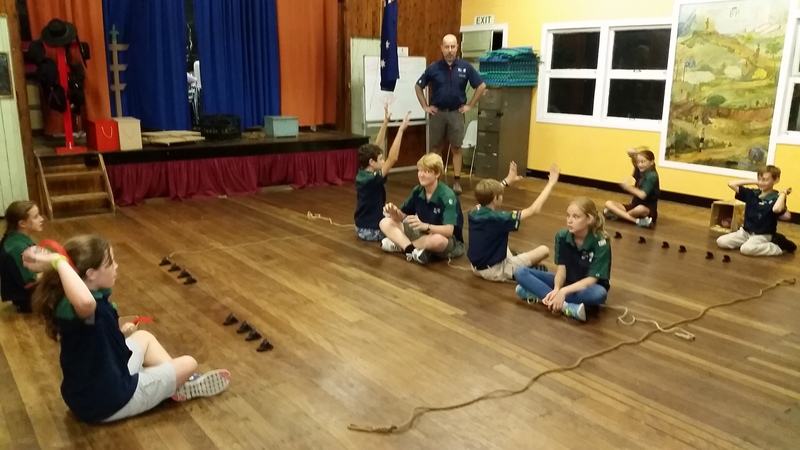 To prepare for this camp we had three bases – Navigation (run by Komodo), Teamwork skills – Walking on Mars (run by Falcon) and Menu planning (run by Echidna). 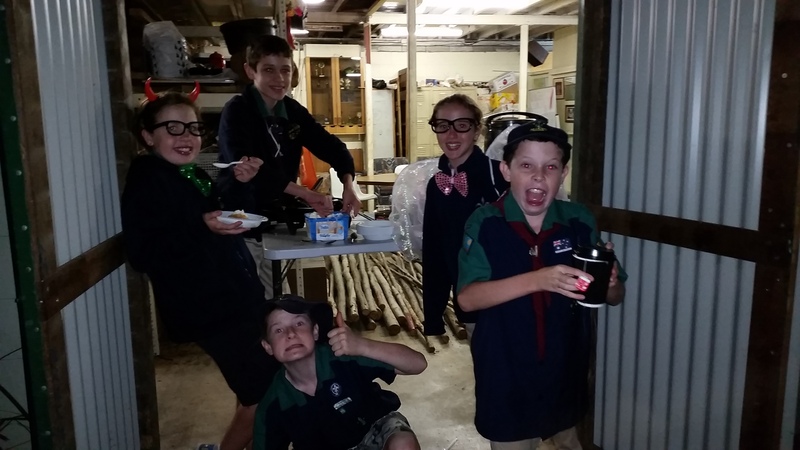 Even for scouts not attending Butterfly these are all general scouting skills that are part of award work but also just having fun doing scouting things. 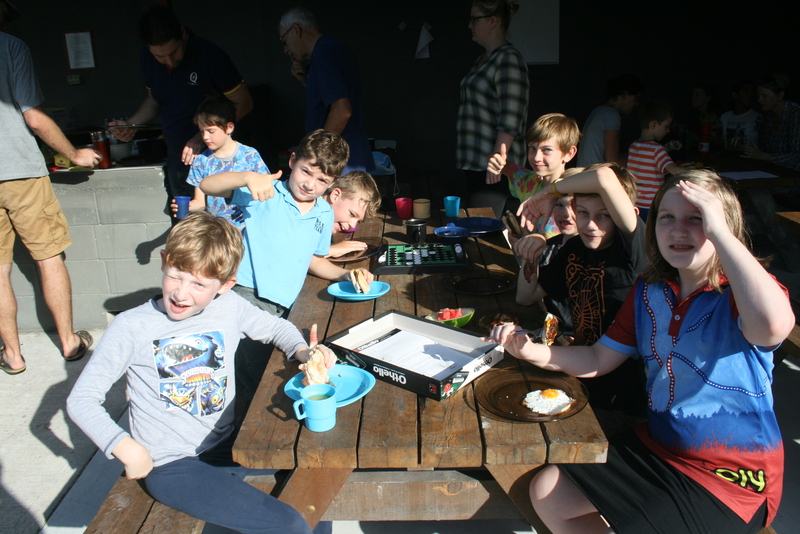 We also played some new games that were a hit – Evolution with almost everyone turning from an egg into a Butterfly and the Anti-gravity tent pole! 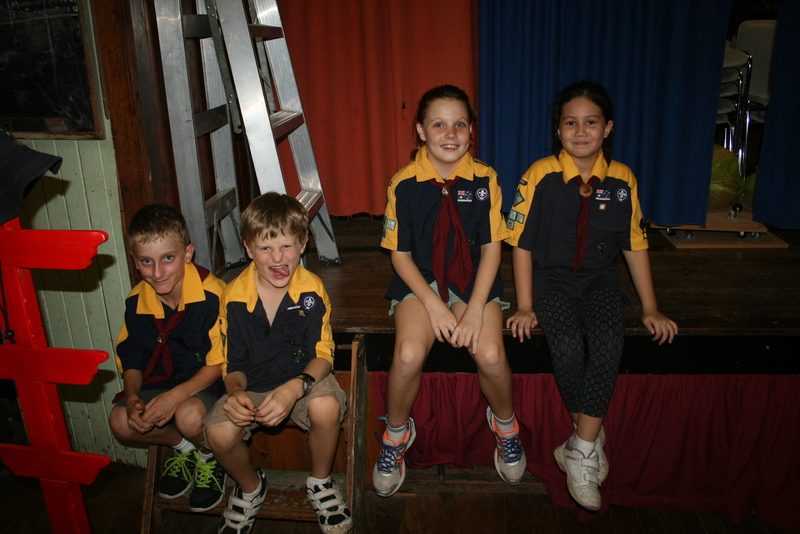 Well, it was a fabulous start to the year when Victor Scout section met on Friday night. 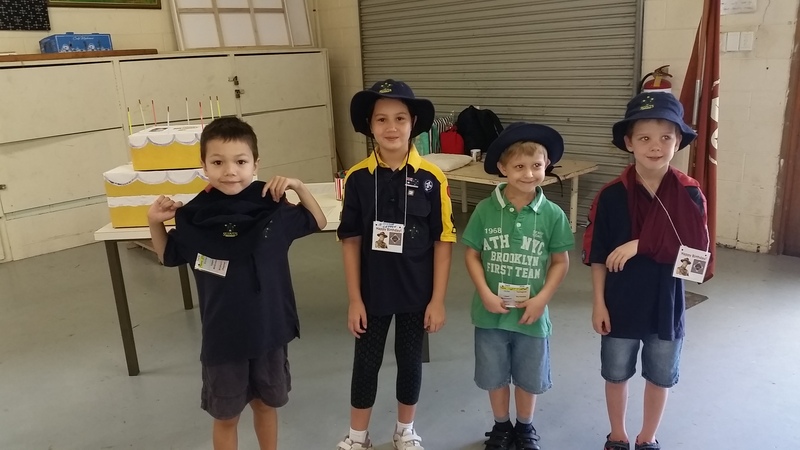 We welcomed two new patrol members – Ellie and Michael. 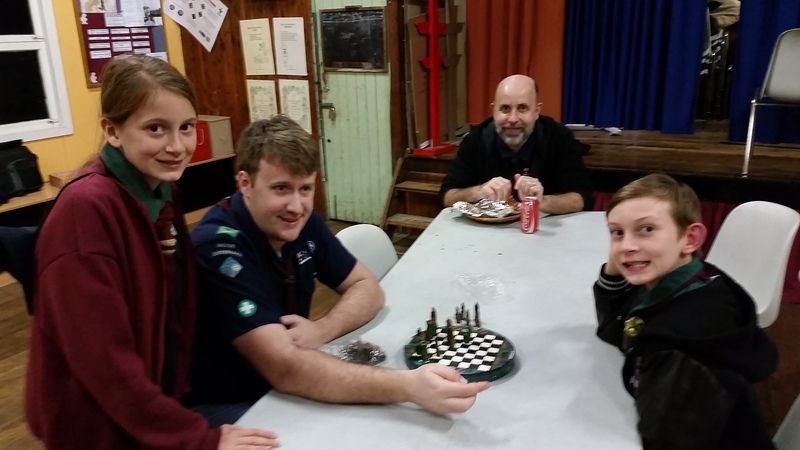 Our linking cub Declan was also back for another night – he has nearly finished his Gold Boomerang and Grey Wolf and will be joining us permanently in scout section very soon. 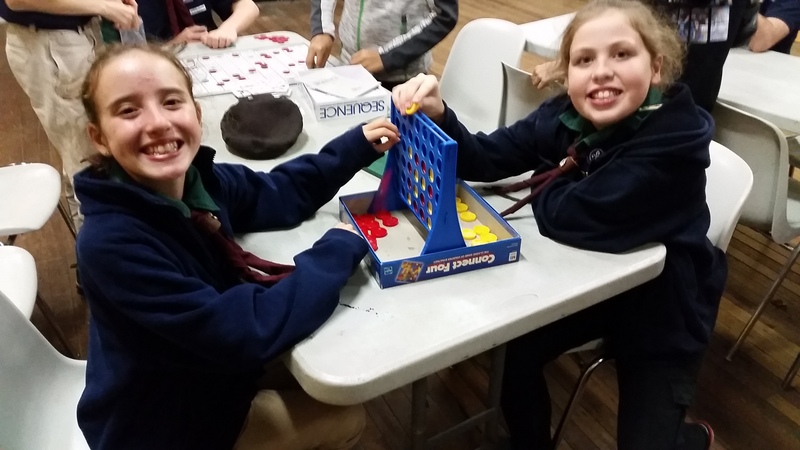 Everyone had a fantastic time getting to know each other playing games and learning new knots. Together Penguin patrol constructed two chariots and had fun racing them around the den. 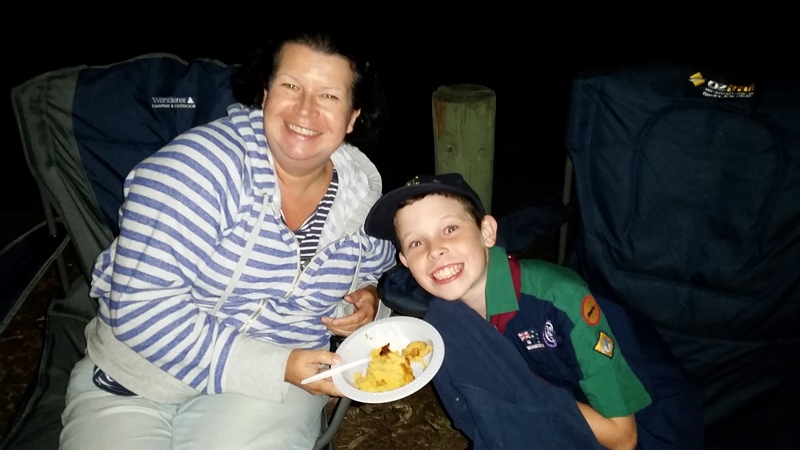 This week we welcomed another linking cub, Annie, who will be a lone scout as her family travels Australia but having Victor as a home base when she is in Brisbane. 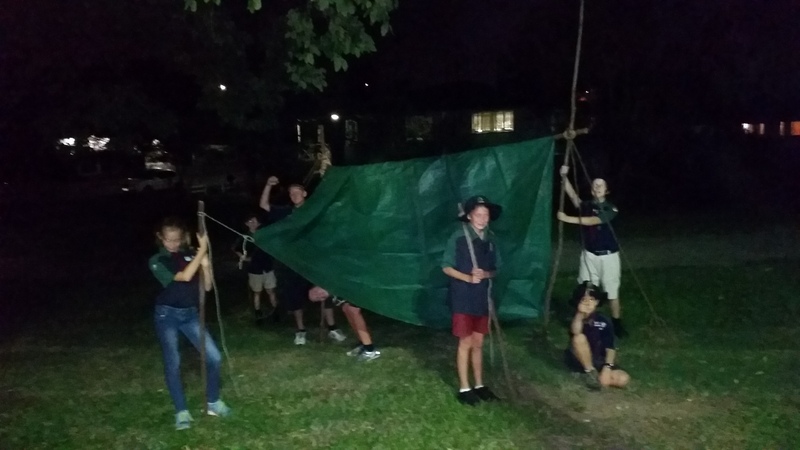 Our activity for the night involved learning how to do basic navigation then determining and navigating a path between the den and Holland Park RSL. 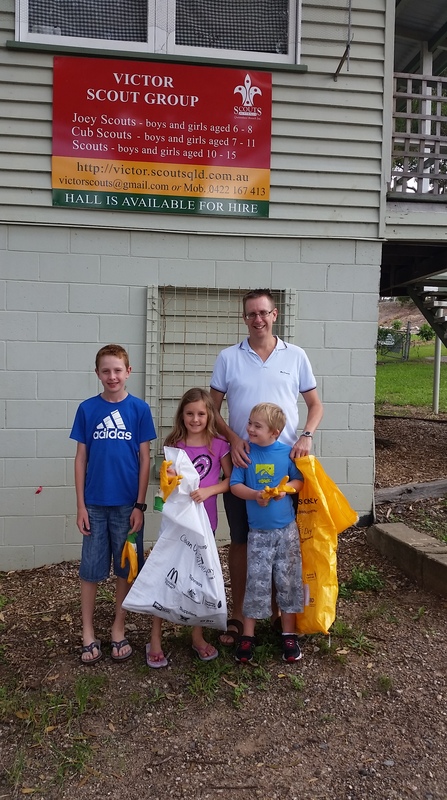 Here we completed some community service for our RSL friends. 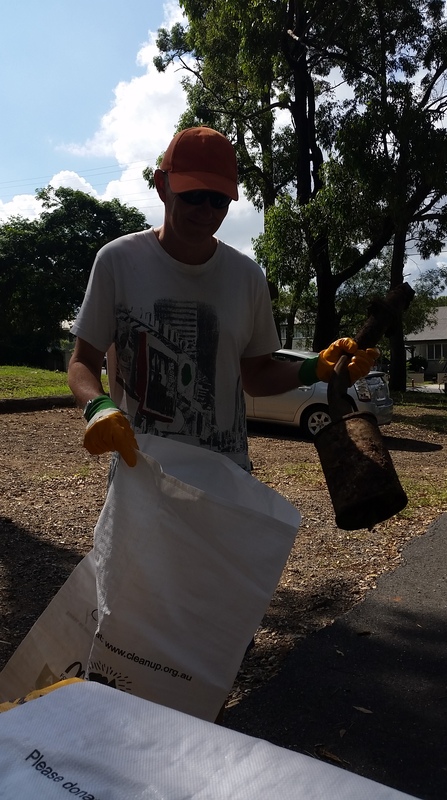 Just rubbish pick up in the park and sweeping the front stairs as the memorial is temporarily undergoing some renovations ready for ANZAC Day. This community service will be an ongoing activity for all Victor Scout Group sections. Tonight was a very exciting time in Victor Troop. Following sign-on day our troop has grown to 11 with 5 linking cubs joining us over the next few months. With this in mind Troop Council voted to split the troop from just Penguin Patrol into three new patrols. 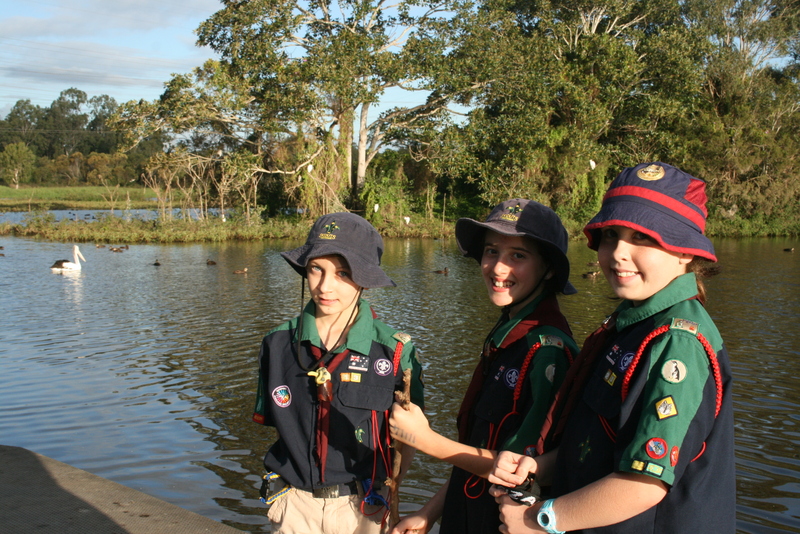 So Victor Troop have 3 patrols now – Penguin, Panther and Koala and look forward to exciting times ahead. For this week’s activity we completed emergency and first aid procedures. 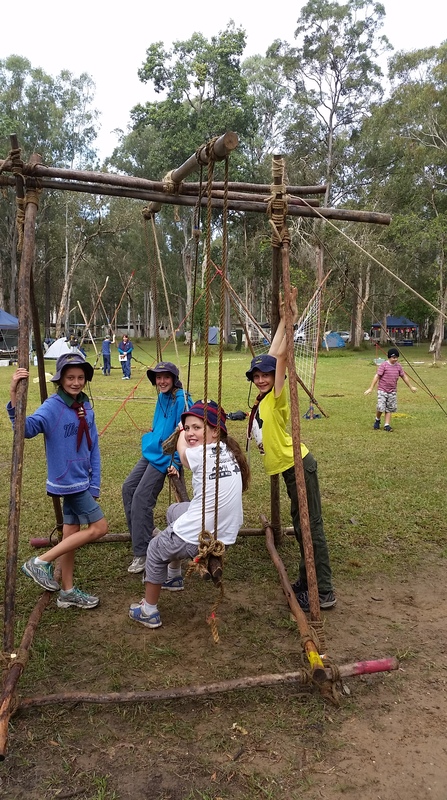 Learning all about DRSABCD, how to manage and treat various emergency situations and finished the night by creating bush stretchers and carry fellow patrol members 500m through the park. 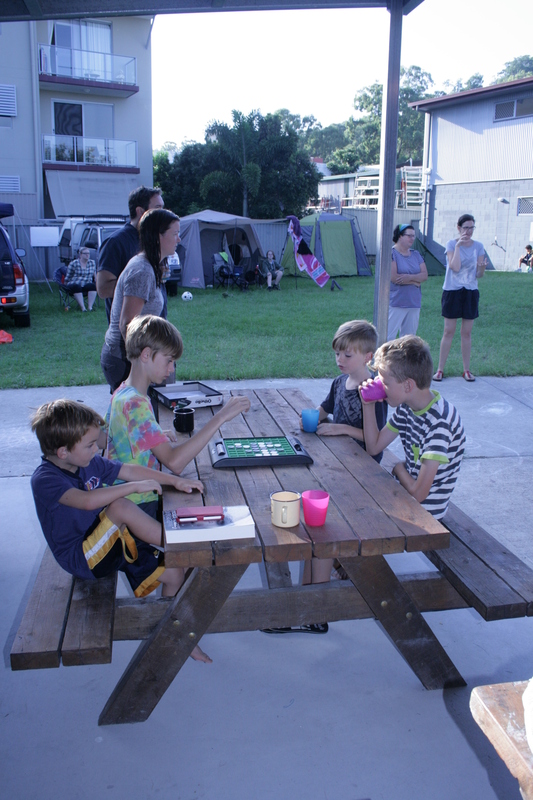 We had planned to attend the Chinese New Year celebrations in the Valley for International Cultural awareness but unfortunately Cyclone Marcia had other ideas. 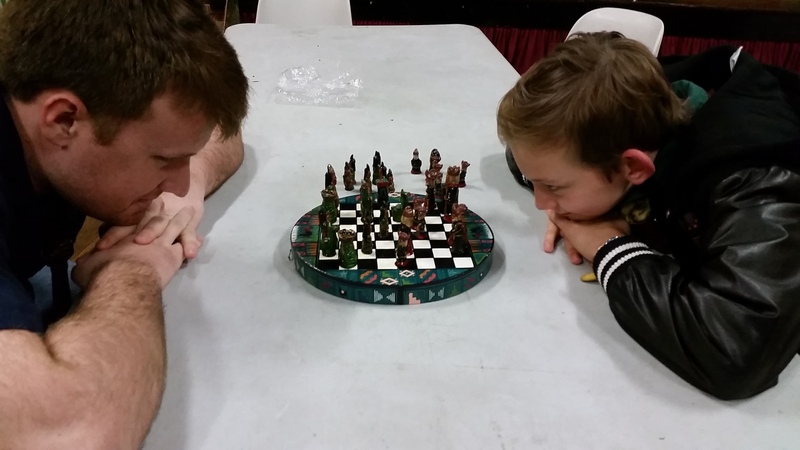 Instead we had a great night of games and catching up on award scheme work. 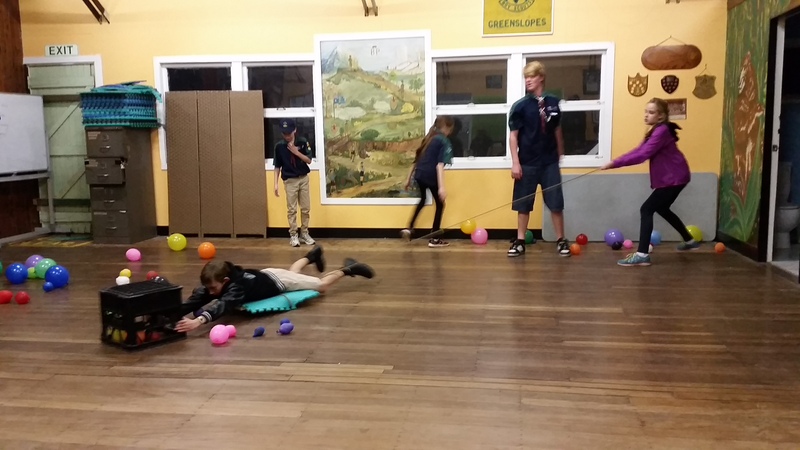 A scout sized version of Hungry Hippos was fantastic (and let us practice reef knots and bowlines along with teamwork to achieve a goal) – can you believe every round ended up with each patrol collecting the same number of balloons! 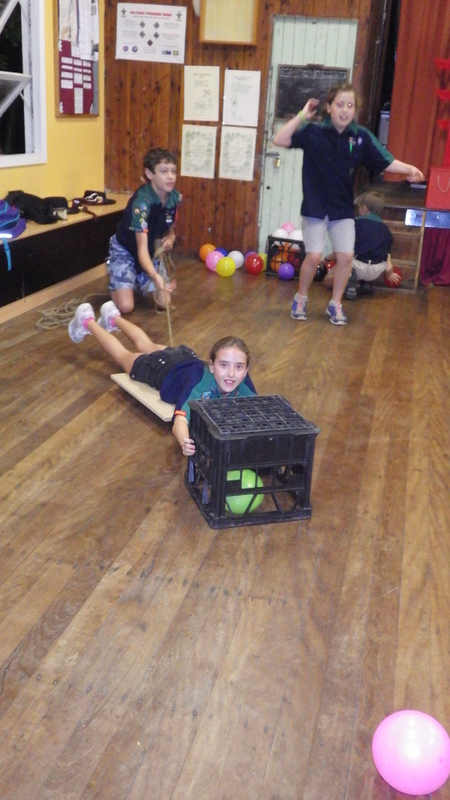 We also played Mousetrap Attack; Scout, Scout, Joey; Stuck in the Mud and Marco Polo. 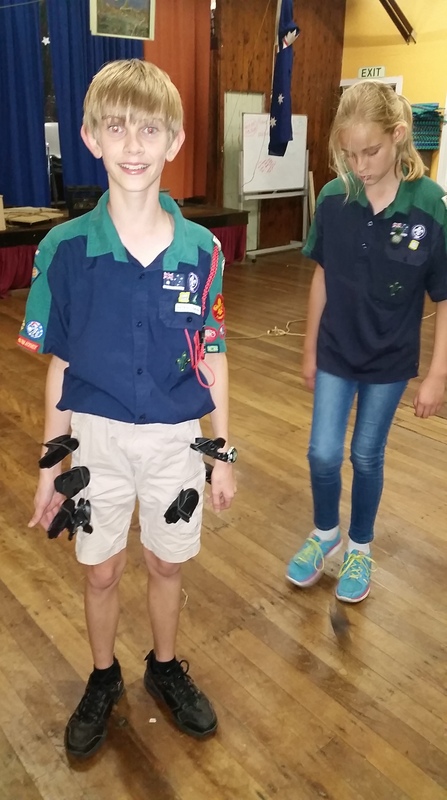 Alex shared his rock collection with his patrol as part of his collector badge, Elliot finished off his World Scout badge, Tash and Livi finished off their Pioneer citizenship badges with a bit of first aid. Everyone else started or continued to work on various parts of their award work. 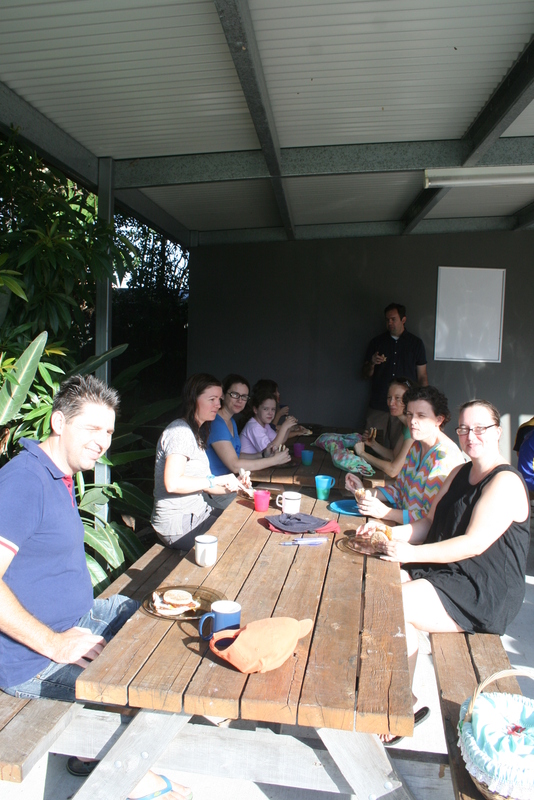 Unfortunately the morning Founder’s Day was postponed due to weather from Cyclone Marcia. However, our orienteering activity was able to proceed as the weather cleared. 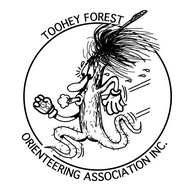 The Toohey Forest scouts were welcomed by the Toohey Forest Orienteering Group to join in their Bush Navigation and Coaching session in the Toohey Forest bordering on Griffith University. 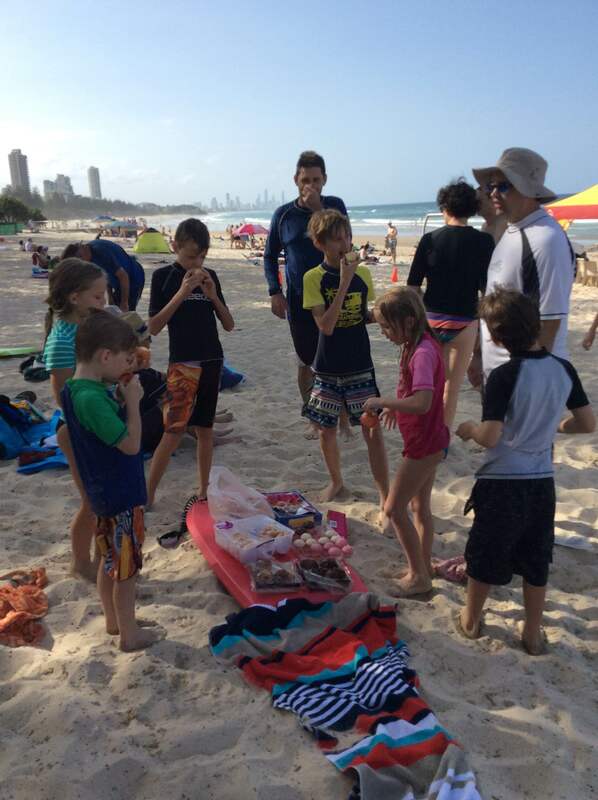 It was a fantastic afternoon, despite the rain sprinkling in the middle as a by-product of Cyclone Marcia. 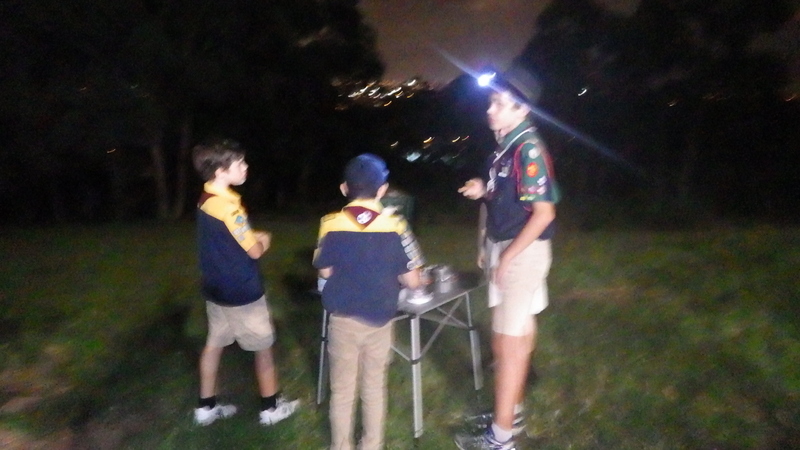 The club orienteers were very patient and helpful teaching the scouts the basics of orienteering. 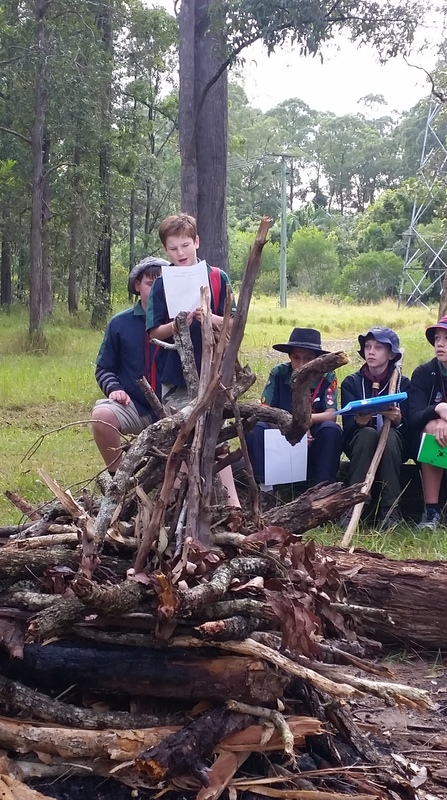 After an hour of practical instruction through the bush the scouts were sent out in pairs on a course of their choice (easy, moderate or difficult). 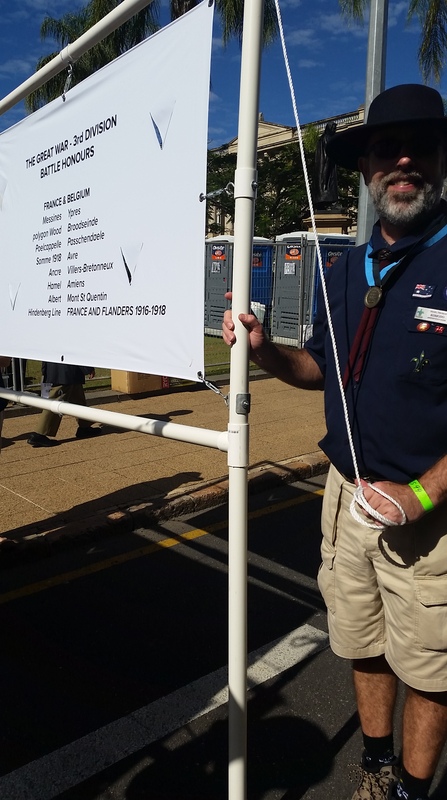 Given this was the first time participating in this kind of activity we are very proud of the efforts of the Victor scouts. Alex (11) and Declan (10.5) coming second with Elliot (13) and Joseph (12) third only beaten by Samuel and Alistair from Rochedale. Out of a field of 28 attempting this course it was a great effort. 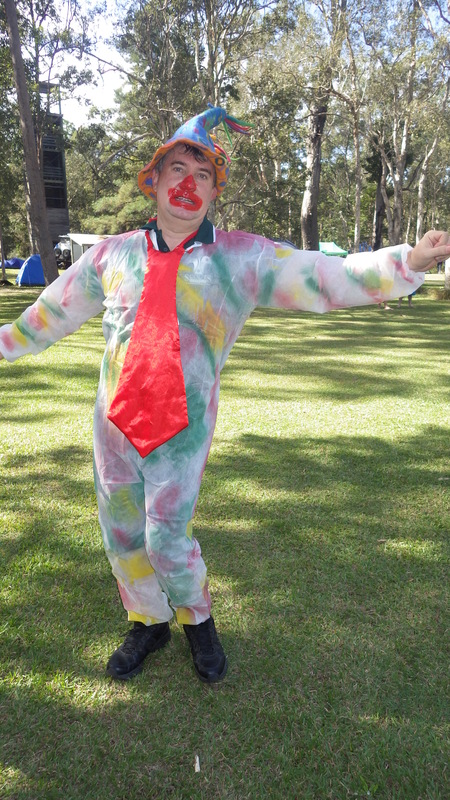 Thanks to Aquilla from Rochedale for helping to organise the event. 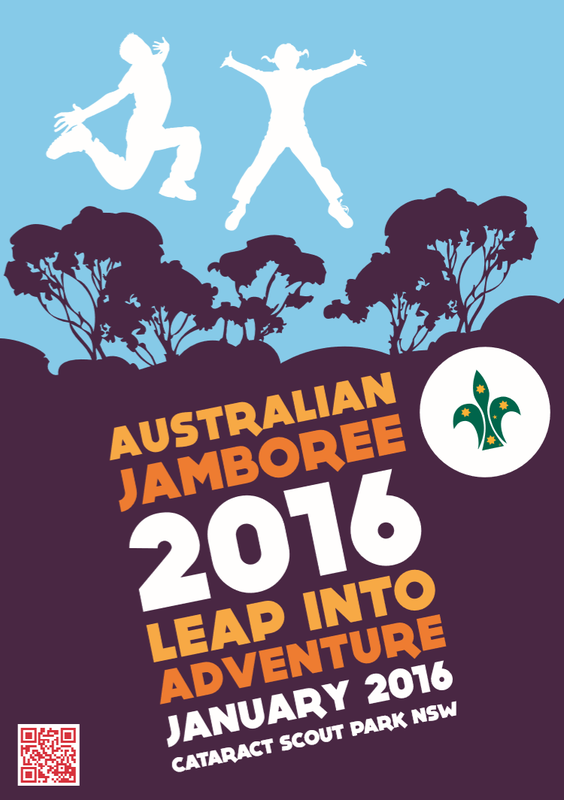 Jamboree is an amazing opportunity for scouts to participate in. To qualify you must have turned 11 but not 15 by 3rd Jan, 2016. 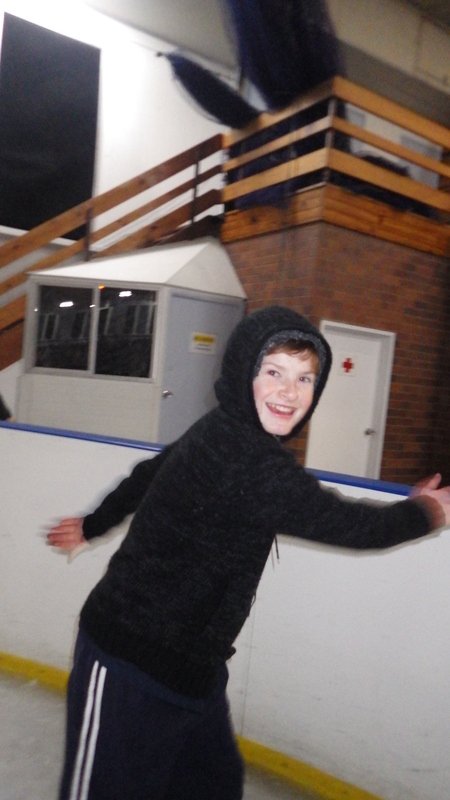 Echidna would love you to please come along to the AJ2016 Information session.